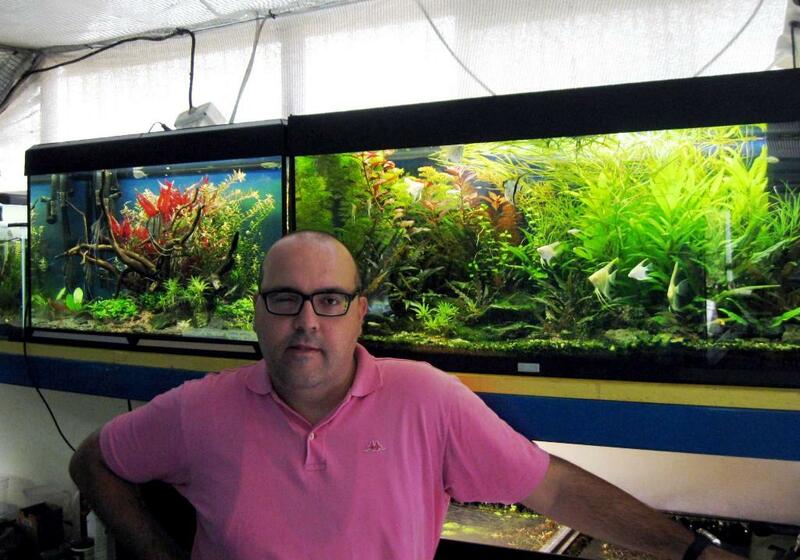 Andrea Perotti is a well known Italian aquarist and a reference in the international aquarium world. I was privileged to know him a little more thanks to the interview … With the exchange of emails and a look at the social networks discovered not only the exceptional aquarist, but the good man too … a fighter who I admire and since I have a great affection. Thank you to you, Oscar. The aquariorosa’s interest to me it’s an honor. Can you please explain us a little bit how is your daily life? I work for a big company that produces aeronautical engines parts, especially for military use. I deal with quality. I live in Somma Lombardo, a small town in northern Italy, few kilometers far from Switzerland. I’m a married man and I have a 12 years old son, unfortunately affected from a genetic brain disease. Because of my son’s disease my life is quite withdrawn; I left all my previous hobbies, because I need to spend the 100% of my free time to provide the required assistance for my son. I have two dogs that I love as sons and an amazing wife that is always able to let myself feel good and to make myself smiling. She has an incredible fortitude, she is always positive and she is always able to help me to ride out difficulties. She is my sunshine. 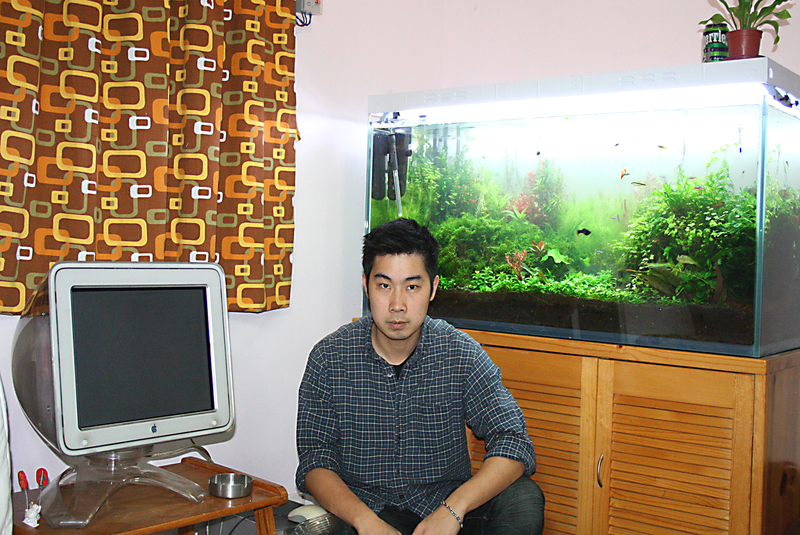 I bought my first true aquarium in 2002; it was a part of a “pet-therapy” project for my son’s disease treatment. In that period my home became as a zoo, with turtles, birds, dogs etc. My son he never showed interest for that aquarium, but my duty was to insist and maintain it. Gathering informations on books and magazines, gradually I became fond of aquariology until my total “infection”. How many aquariums do you keep actually? How much time a day you dedicate to maintain aquariums? Unfortunately at home is increasingly difficult for me to dedicate myself to the aquariology, because during my son’s crises there is a high chance for him to breaking a tank, with the consequent high risk for his safety. For this reason last years i took away almost all my 7 aquariums (where only two was mine) and currently I have only two small tanks in a safe and protected area. Within this two acquariums I’m reproducing moss. Luckily my dear friend Davide Robustelli, a known person in Italy that’s own some aquarium’s e-commerce sites and a plants and ornamental fishes glasshouse not so far from my home, he as 20 plantaquariums but not much time to follow them. Fot this reason, one year ago, he was about to dismiss these aquariums (or to convert them to african cichlids breeding) but, just before, he asked me if I could take care of them, and I accepted with enthusiasm. Currently I go every now and then to the Davide’s glasshouse, and he gives me the opportunity to manage at my pleasure all these aquariums. For instance, I set up the layout I’ve entered at the IAPCL 2011 contest. During last year I realized some aquascape designs that I’m trying to keep alive over time. Due to the few time available, all these aquariums aren’t extremely managed… I can spend, weekly, only 15/20 minutes each one. Where do you get the inspiration from when creating your aquariums? I really like the Ryoboku style, used by Amano for his wooden layouts: Probably I’m a little bit influenced by this style, because I’ve seen so many. Furthermore I’m usually inspired by wooded landscape of my my homeland. I live in a green belt because my zone is a part of the “Nature reserve of Ticino”; I rode for 20 years (walk or bike) these wooded landscapes, these wonderful and magic places and, often, I have these places in my mind when I try to set up a new aquarium, trying to recreate something that can give same emotions and flavour. For this reason, most of the time I’ve recreated outcrop landscapes, slightly modified to be a little bit more acquatic. In pratice, underwater forests. Do you follow any norm of standard proportion when you create you hardscape? I don’t follow compositional rules, but I’m drived by istinct. I always try to realize wild layouts that represent natural and uncontaminated environments… primordial environments… where I can convey my mood and my peace desire. Which kind of substrate do you use? I’ve used PRODAC’s products for years (an Italian company I was an external worker). Currently I’m using almost Seachem Flourite (Black Sand & Onyx Sand) and Tropica (Plant Substrate). Do you consider filtration as an important part? Filtration is the base. It’s better to have oversized than undersized filtration. What else do you consider a must when setting up an aquarium? – Water circulation: must be optimal. 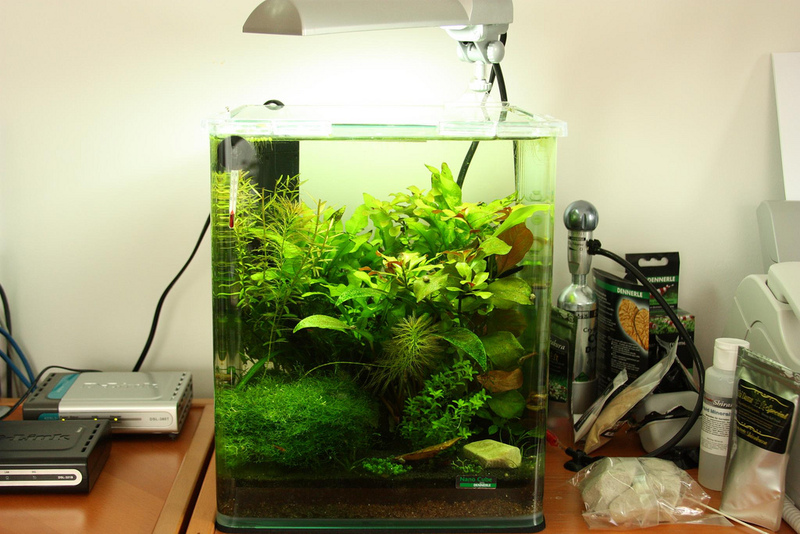 – CO2 system: I’d like aquariums with a huge number of plants, so I think is an essential item and I use it 24/24h, but dispensing it lightly. – Light distribution: The Light must be correctly distributed on whole layout. What kind of fishes and plants are your favourite for your creations? I like little herd fish, mostly those of the Characidae family. In my tank never fail crustaceans, small catfish (Loricaridae) and small gastropods. 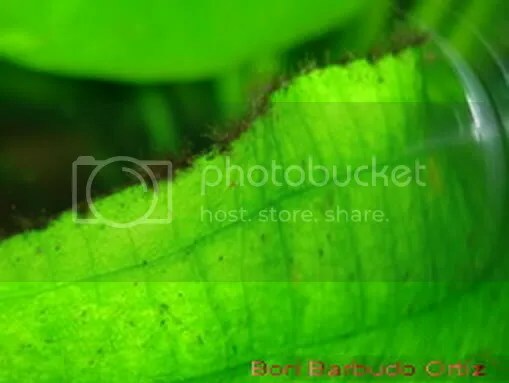 About plants, I love ferns (Microsorum spp. and Bolbitis spp. are always present in my creations) and foreground plants (Hemianthus callitrichoides and Eleocharis parvula are my favorite). Can you please briefly explain how you setup an aquarium from zero? In setting up a new work, you need to have a clear idea in your mind. Starting from that idea, you have to find the decorative material (wood and rock). When you’ve found the right rocks/roots/branches, you have to try to enhance them to highest with the hardscape creation. Usually I plant immediately, inserting a lot of fast-growing plants. If possible, I use plants pruning from other aquariums because you can get a faster and good vegetative activity. For convenience I use weekly a all-in-one fertilizer. 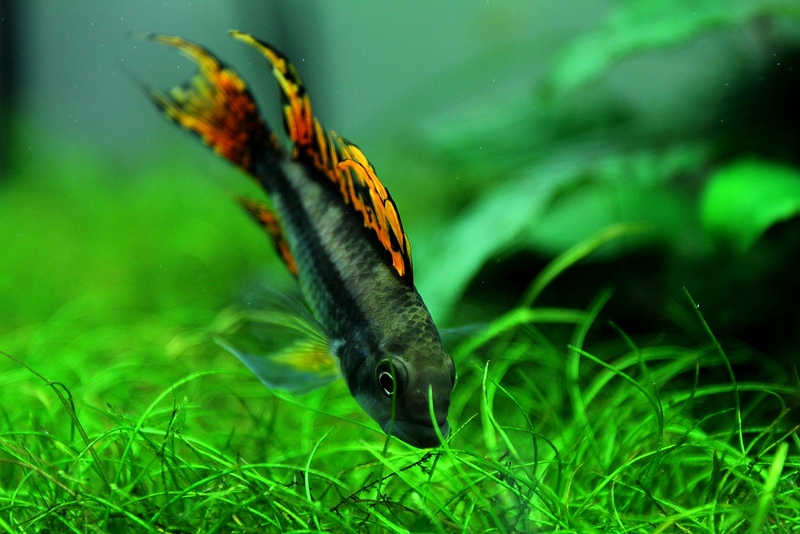 Currently I give “Profito Easy Life” within medium level aquariums, and Tropica PlantNutrition when highest requirements are needed. What do you think of marketing commercial products that many consider almost miraculous? I don’t really understand what you mean, but anyway I don’t believe to miracles. 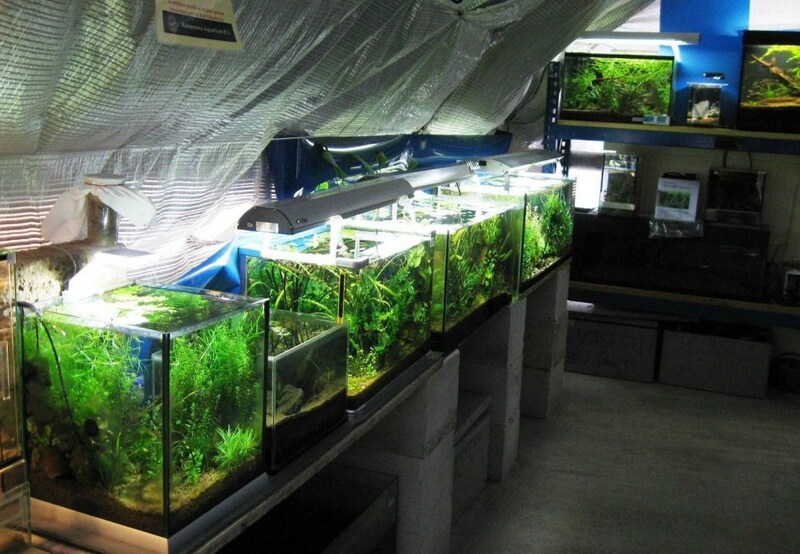 Aquascaping is the research, the plan, the realization and the maintenance of a studied layout, that allows to convey a private emotion, but it can’t be outside of a good basics aquarium knowledge. Before playing as aquascaper, you need to know how manage an aquarium. 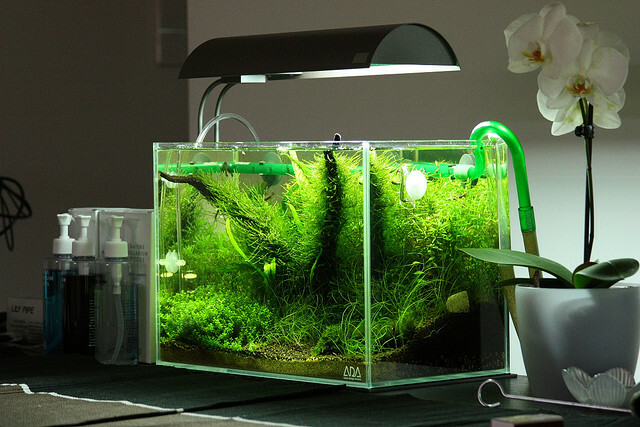 In your opinion, in which country you see a bigger interest in the aquascaping? At the European level I want to give a mention to Russian Federation, because has been distinguished in all International contests, winner of the last year IAPLC and placed third of this year edition. How is aquascaping in Italy? In Italy, the number of people fond in aquascaping is growing and the quality level of the works is raising. Which is the aquarium style you prefer? As I said before, I like wooden and wild layout. I don’t like clean and tidy ones; I prefer it if it looks like a natural environment, not man made. 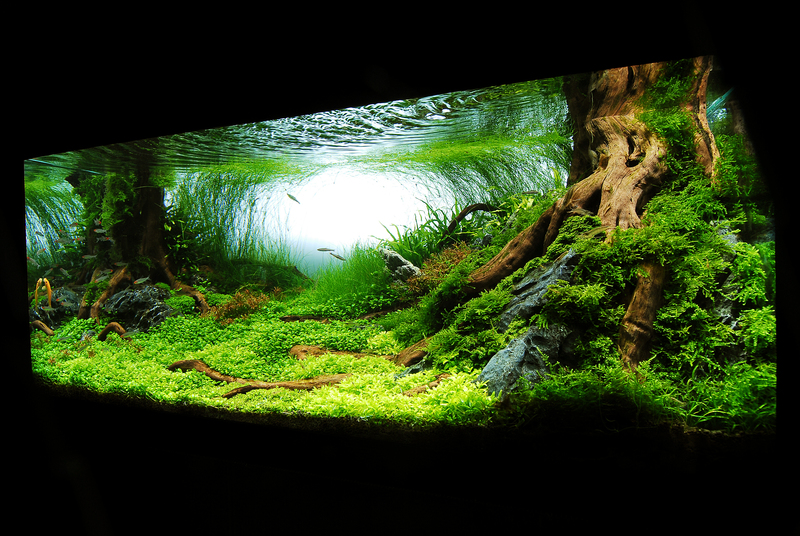 What do you think about terrestrial landscapes in aquariums? They like me, but I prefer to make them look a bit less terrestrial and a bit more aquatic. I feel myself to have this duty toward aquariology. Do you know anything about the aquascaping reality in Spain? 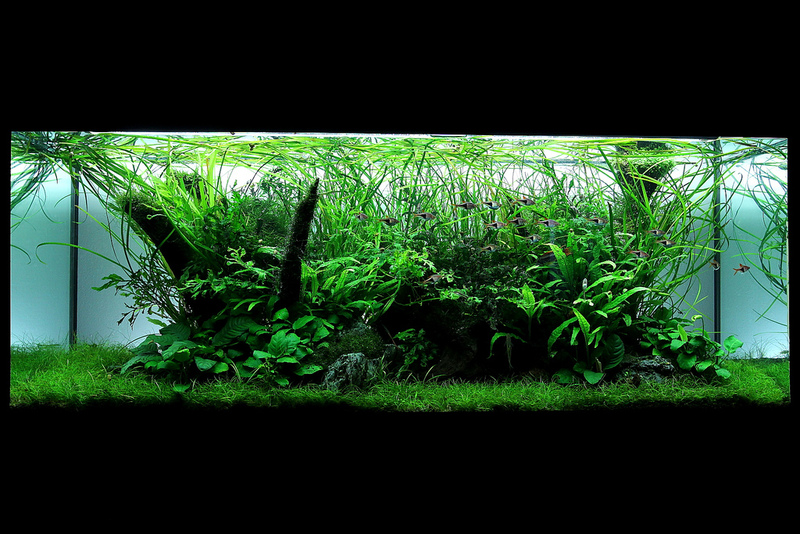 Mainly I know the works and the talent of Diego Sandoval; his passion for micro aquariums has infected me. I know AAC and I entered this competition in 2010… a contest with a perfect organization, very professional. Can you tell us a couple of aquascapers you like the most? The first place is obviously for Mr Takashi Amano, that’s unreachable. Then I want to mention Yutaka Kanno, Long Tran Hoang, Michael G.W.Wong, Filipe Alves Oliveira e Cliff Hui. You manage a blog (Aqua Experience) and a forum (AquaExperience.it). Can you tell me something about them? For years I was a moderator and administrator for others forums not owned, then I felt the desire of create something mine. At the beginning I create a Blog. In its first year it was full of contents, but I pruned it when the AquaExperience.it portal was born, and currently is mainly a photogallery of my works. The AquaExperience.it website (I want to point out that is a portal with forum and not only a forum) is born as a natural evolution of my blog. It’s on-line since 1st Jan 2010 and currently it has a good popular appeal; we have a great number of supporters. Moreover it’s highly regarded by web search engines. Apart of aquariums, do you have any other hobby? Currently my only one hobby is the aquariology. Anyway I like races (MotoGP and Formula1) and the hard rock music. Places where you can learn a lot and where you can meet amazing people. Unavoidable. No one aquarium is totally without algae. Be able to “read” a layout. An opportunity to compare yourself with the stars. Can help you to enhance a layout value from a contest point of view. My friend Giacomo Guarraci is using a similar methodology from 10 years, but in my opinion his version is better… I hope he will can, in the future, to sell it or, at least, to talk about it in a book. If this happens, probably you will read the Guarraci’s name within your interview, instead of Walstad’s name. I know the “Estimative Index” system… more or less it’s similar to my method. When I read his name, all the times comes in my mind a photo where he swam in a very big and wonderful PlantaDiscus… hahaha. A genius. 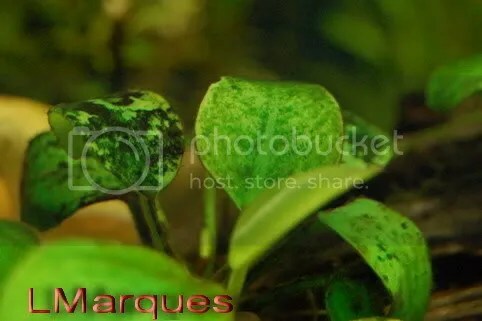 Great Aquascaper, great nature knower, great photographer, but above all, great marketing expert. Thank you to you, Oscar, it was my pleasure. Greetings to all Aquariorosa’s readers. There is a very close relationship between fertilizing, uptaking of the fertilizers and algae. The purpose of this work is to explain how these relationships work. This is a complex subject with a lot of new ideas. I will try to be as clear as possible. The ideas I will explain had been discovered during my work as an aquarium gardener and have been confirmed with positive feedback during the last 5 years at the most important Spanish speaking forum; so this is not speculation. The MCI had over 100,000 reads since it was published and algae is not an issue for us any more. I believe that one of the major issues regarding algae is confusion as to why it occurs or doesn’t occur. If we read about algae in books we can find well known authors assert that some of them bloom because of excess of NO3 or PO4. When I read this I understand that these authors have no idea why algae bloom. The most popular fertilizing methods don’t provide enough attention to algae. Some of them focus attention on CO2; others assert that to reach the balance will solve the problem. It just doesn’t happen! On the other hand, the EI method asserts that algae blooms because of lack of CO2, Light or fertilizing. The idea is well oriented, but incomplete. It is empirical evidence. Proper CO2 and light are too basic, so I prefer work with them as prerequisites. About the lack of nutrients: the EI method asserts that algae blooms because of lack of a nutrient and propose to add this macro/micro to solve the issue. I disagree with this approach. In the following pages I will explain why. Some years ago I was working with a company developing an aquarium fertilizing. When we had the prototype ready, I prepared five extra high light/CO2 planted tanks just to try different combinations of overdosing of this product. I combined it with PO4, KNO3, Fe, etc looking for algae blooms. I discovered that there is a relationship between certain imbalances and certain algae. On the other hand, when I tried the solution that the EI and other method propose, they just didn’t work. I also confirmed that when you just add NO3, and let PO4 reach zero then GSA blooms. 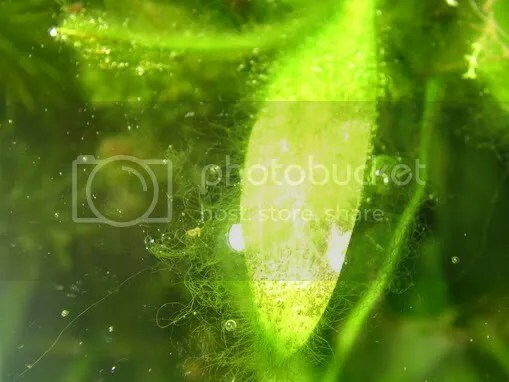 I discovered that under this water condition, other algae stops blooming or die. I called it the generic KNO3 protocol, which is the main tool we are going to use with the MCI. B. What exactly is the MCI? The MCI was born as an algae control method. I discovered that when CO2 and Light levels are high enough and you have an issue with algae, this is related to an imbalance between nutrients after uptaking. There are very close relationships between them and it is easy to solve any algae issue when you understand how they work. I use the concept imbalance because talking about excess or lack of is incorrect. When you use the terms excess or lack, you are talking about a macro/micro nutrient without any relationship with nothing more. Old school asserts that algae blooms because of excess of nutrients, PO4 mainly. The EI asserts that the lack of nutrients is the cause of algae. None of them is entirely wrong. Sometimes it is a lack of and other times it is an excess; depends. This is not important; the combination of macros/micros we prepare based on the fertilizer bottle, the real important thing is the plant uptake and what is left in water. 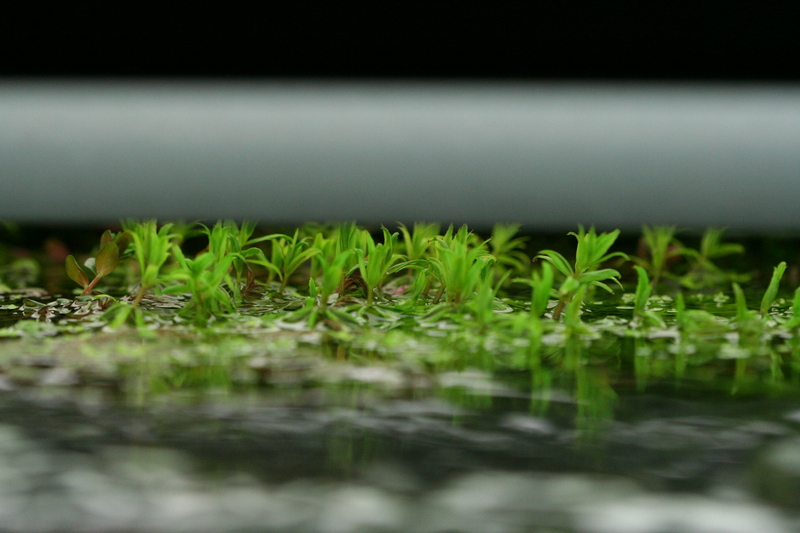 The fertilizing approach of the MCI uses algae to find out plant uptakes and propose to develop a custom fertilizing for each aquarium. It is impossible to standardize a fertilizing regime. Light and CO2 are too overestimated, the main variable are the plant combinations. There are some plants with priority uptake of PO4, NO3, Fe, Ca, etc but most of them have no special needs. For example, glossostigma elatinoides has a priority NO3 uptake. It means that if you don’t add enough KNO3 you will probably have problems with cyano-bacteria. If you have a meadow of marsilea crenata and you don’t add enough PO4 you will have issues with GSA. 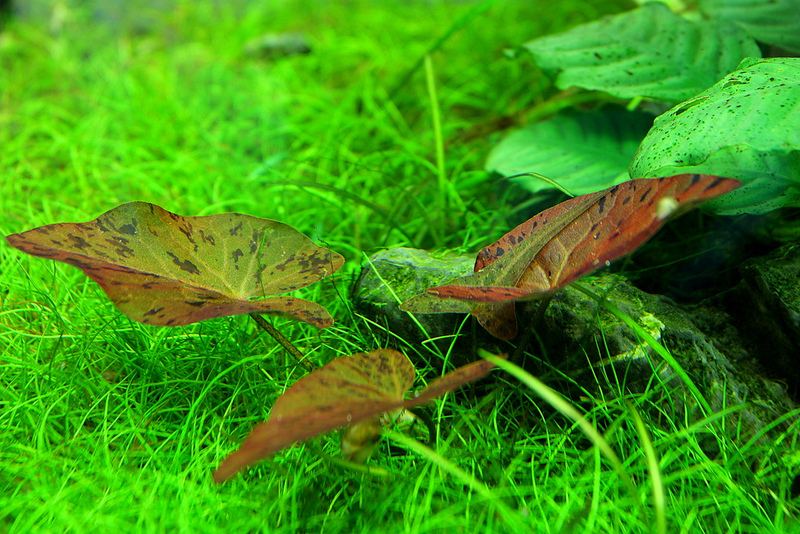 Anubias and microsorums are PO4 priority consumer plants too. The idea behind the MCI is that if we have enough CO2 and light we can use the plants as the aquarium filter and we can induce chemistry changes that helps us to have an algae free aquarium at the same time we can have a proper high grow rate. In same cases, for example, an aquarium with discus, we can chose PO4 priority consumer plants like marsilea crenata in order to look for a long term balance. The MCI starts working with KNO3, low Fe (0.1 ppm), no PO4 or potassium sulfate (K) dosing. This is only a start, algae will tell you if you need to add PO4 and how much. I will explain it properly and in more detail later. If your fertilizing method is PPS or EI, before you start using the MCI, you should decrease the amount of PO4 and Fe in your water, otherwise, the KNO3 generic protocol will take several weeks to produce PO4 zero and the plants will suffer a lot for lack of micros/Fe, etc. The method I propose works only under certain light/water/plants/CO2 conditions. For this reason I will explain it properly and in more detail. Even when you look for information on algae you can find a lot of possible causes for each of them: excess of water flow, excess of light, etc. I will focus on the key variable: The one that you change so that the problem is solved. Sometimes the problem is the tap water chemistry. For this reason I will dedicate one chapter to explain the most common issues. It’s very important that you don’t mix methods and it would be better if you forget all that you know about other fertilizing methods. I found out that some of the knowledge we have is incomplete, wrong or just an improper interpretation of facts or experiments that have arisen in articles and studies on the subject. I believe that the misunderstanding about algae is related to the use by analogy of hydroponic and terrestrial plant cultivating knowledge. Algae doesn’t exist out of water, so they don’t even have to think about them. Plants are quite flexible about uptaking. No matter which fertilizing method you chose, they will be more or less ok. However, algae can show up and bad theory usually is responsible. For example, everybody read about the Ca:Mg 4:1 ratio. This is a ratio from terrestrial studies. Under the water this ratio produces several problems. If you add PO4 too, Green Dust Algae will be an issue. My basic idea is to discover the underwater rules. Usually they are different, so, all the “scientific knowledge” from above the water became useless or problematic. When there is a balance in the aquarium, plants grow properly and you have no algae. You can reach this goal with any fertilizing method. Unfortunately we deal with a dynamic balance that involves many factors over which we have more uncertainties than certainties. In this sense I think that the best way to understand our situation is with an analogy: a blind man that moves up the sidewalk with his cane. If this is his first time walking down that path there are few things he can say for sure. The blind man knows that the street is on his right and the wall is on his left. But the fact is that he has no idea about how high the buildings are and it makes no sense to even try to find out. For practical purposes, this person can go blind groping the ground with his cane until he finds the wall on his left and from there he can start walking and reach his destination without getting lost because although he lacks the ability to see, he can use the wall as a guide. In the aquarium we have a whole series of dynamic variables that we don’t know but, as the blind man, we can choose between the wall and the street. In my opinion, and this is strictly arbitrary, the wall, the safety, are the GSA. Thus, our target using the ‘Method of Controlled Imbalance’ will not be having Green Spot Algae (GSA) but, instead, generate an equilibrium in which we can predict what will be the possible imbalance we may have. The idea is to generate a water chemistry close to GSA because the correction is as simple and safe for the health and aesthetics of our aquarium. Even this idea can sound a little weird for you, the fact is that all the fertilizing methods had a tendency to a certain water chemistry but they don’t realize it. The EI, for example, has a tendency to Green Dust (an imbalance related to an improper Ca:Mg ratio plus too much PO4). However, what happens is any unexpected imbalance occurs and other algae blooms. There are some possible answers. Looking for re-establishing the balance as an immediate goal doesn’t work. Adding more fertilizing doesn’t either. Following the blind man analogy, we should look for the GSA because when we reach it, we know where we are in the same way that finding the wall with the cane. A GSA friendly water chemistry is a desert for other algae and GSA is easy to remove adding small daily amounts of PO4 (PO4 protocol). The advantages of this methodological approach are manifold. First, like the blind groping the wall, the number of variables at play is endless but those on which we work are extremely limited which allows easily interact with them. 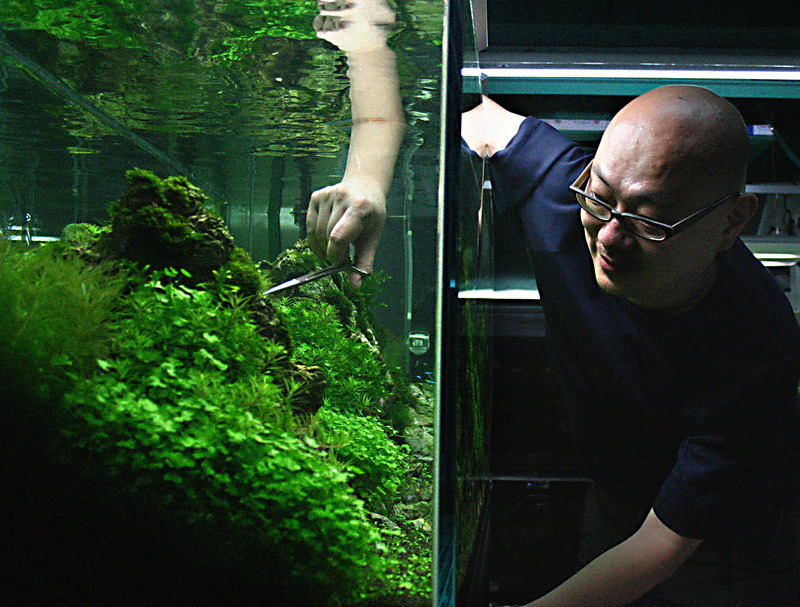 The MDC uses the plants as a catalyst for nearly any imbalance that occurs in the aquarium. Because there are so many variables involved, ranging from water quality, the combination of plants, fish, light, among others, I will try to standardize certain requirements without which it becomes difficult to maintain a healthy aquarium. In this sense, this method assumes a light of at least 4 watts per gallon, CO2 between 25 to 35 ppm, that there are fast-growing plants (with only echinodorus this system does not work). When I propose to use the gallon/watts rule we are being as inaccurate as we are clear. There are many other ways to calculate lighting, lumens, PAR, etc. I believe that the ‘accuracy’ about light is just a delusion. There are too many variables in play and the subject becomes too difficult to understand. For this reason I am going to propose the watts/gallon rule with some corrective measures in order to look for more accuracy without losing clarity. Overall, it says that the plants require at least 2 watts/gallon and in fact this should be read as it is the bare minimum to survive and grow for low requirements plants. However, our goal is a bit more ambitious because I want to induce a metabolism working at a 100% rate, which is why we recommend 4 watts/gallon as a minimum. However, the feedback from the last two years has emerged to show that many people have successfully used this system with less illuminated aquariums (as low as 3 watts/gallon). At any rate we recommend to improve the lighting to 4 watts per gallon – this being the minimum I recommend. 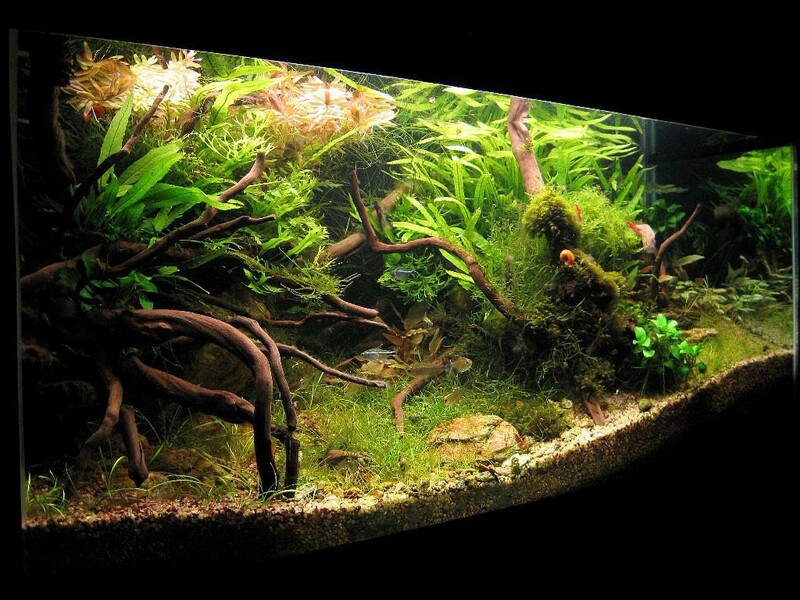 a) The watts/gallon rule only works in aquariums up to 18 inches high. To set the height of the tank, measure the height of the aquarium glass (raw height) and not the clear height (height of the water column). TLD common tubes (Normal Output linear fluorescent tubes) have little penetration in the water, if we don’t use this correction we can make the mistake of believing we have proper light with a deep aquarium. In cases of deep tanks, then we recommend the use of HQI. 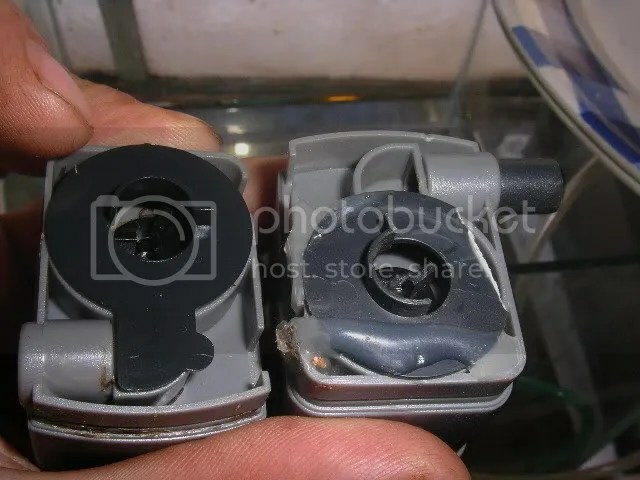 b) In the front of the aquarium you should use PLLs (compact fluorescent/power compact) in order to provide proper light to plants on the bottom like glossostigma elatinoides, echinodorus tenellus, etc. The advantage about PLL is that you have twice or three times more light in the same space and better penetration. c) The third correction is about light quality. We usually recommend the use of, from the back to the front, GroLux, 842 (80 CRI, 4200K PLL), 954 (90 CRI, 5400K PLL). The meadow plants (glosso, HC, etc.) requires quantity instead of light quality. For this reason you can use 865 (80 CRI, 6500K PLL) instead of 954 or HQI as an option. Initially, the MCI didn’t have this chapter but from the feedback there came the need to give this subject its own space. I never underestimate its importance but I was aware of the enormous variety of chemical composition that we have throughout the world and I preferred not to generalize. The feedback has allowed me to identify specific problem cases which I will describe briefly in this chapter. a. One of the most frequent issues is related to overpopulation. Excess of fish, shrimp or melanoides may produce enough ammonia to produce Green Thread Algae. In this case, the tests may have a false negative, they aren’t reliable because they read only the ammonia that algae didn’t uptake. It is essential to reduce the population – less is better. Sometimes, increasing the biological filtration helps in the long term. The use of zeolite is the best option. Usually this is commercialized as an ammonia remover to add to the filter. There are other products that produce the same effect. b. From the feedback and my own experience when I was in Annapolis, I discovered that usually the ammonia comes with the tap water. To test the tap water before every water change is a good idea when the aquarium is still ‘young’ and without enough plants. c. There are some places where the tap water is hard and with a natural imbalance related to Ca carbonate. In this cases we are going to deal with too problems. A high KH interferences with CO2 dissolution. And too much Ca produces a fertile environment for specific red algae (BBA) (see the algae chapter). An obvious solution is to use 50% of RO or distilled water/50% tap water with the water change. d. Pollution is an issue and it is not going to get better. Many areas of Mexico, Brazil and Buenos Aires state (Argentina) have problems with levels of NO3 over 45 ppm in the tap water. A good quality water shouldn’t have more than 10 ppm. If your water has this problem there are some different options. The most obvious is to use R.O. water. A second option is to use rain water and to blend it with the tap water. A third option, if you have enough space, is to have a water reservoir with emerged Scindapsus aureus (Devil’s Ivy, Pothos). The basis of the MCI is the use of KNO3 Protocol. In those cases above we can’t do it. Potassium sulfate is an option. Potassium carbonate or bicarbonate is another. However, we shouldn’t forget the usual recommendation about how much to add. If the use of only KNO3 is stable, then we should use this rule. The NPK ratio in the KNO3 is 1/0/0.5. So, if we have 40 ppm of NO3, we should add half of this amount of K, it means 20 ppm. e. The tap water may also contain an excess of PO4. This happens when the water department filters the water and they add polyphosphates to protect the filters and pipes from corrosion. This is often done when the water is very soft, comes from the sea or it naturally contains some kind of poison, like arsenic, in low levels. This is the case of the tap water in NYC. It contains 3 ppm of PO4. The best route is to use R.O. water in these cases, but even R.O. water is complicated. 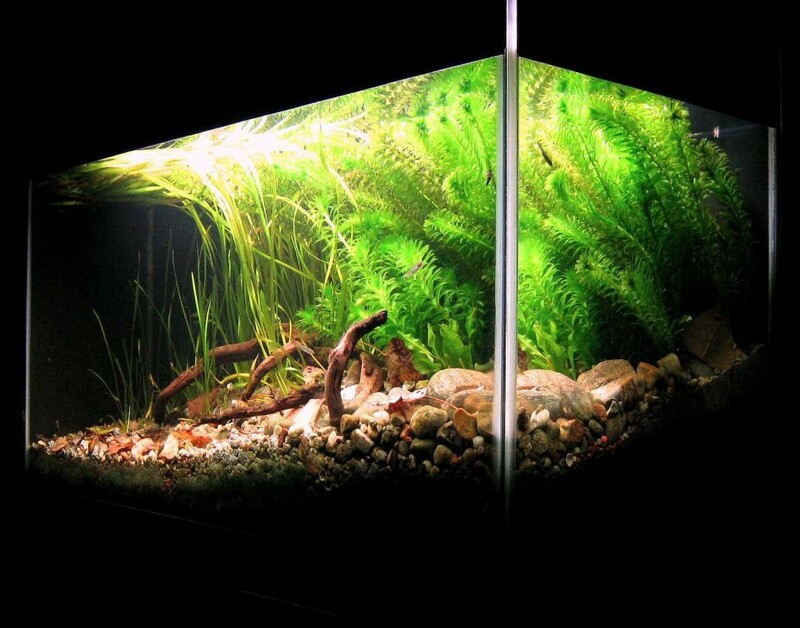 If you chose plants properly you can easily have a stable aquarium with high PO4 levels. If you have a meadow of marsilea crenata and tap water comes with 3 ppm of PO4, then you probably will have enough PO4 to feed them. If you have some GSA already, then you should add a little bit of extra PO4, I will explain it properly and in more detail in the fertilizing chapter. 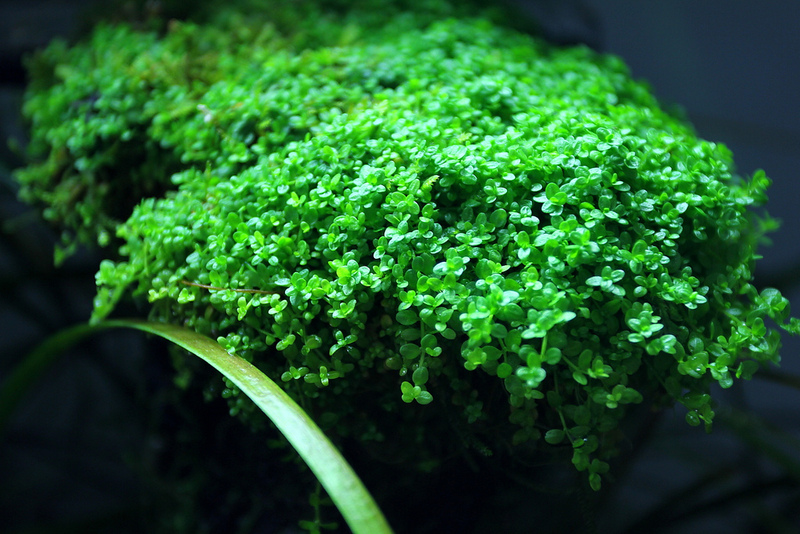 I had an aquarium with a meadow of marsilea crenata and they uptake 4 to 5 ppm of PO4 weekly. Anubias, microsorums and crypts are a good choice too. f. Sometimes your water is really complicated. You can have an imbalance related to Ca and PO4 at the same time. GDA will be an issue and the EI theory about it just doesn’t work. I will explain in the algae control chapter how to deal with this issue. There is no need to explain how important CO2 is, so I will deal only with the problematic topic. There are charts to establish the level of CO2 in water that uses pH and KH. PPS recommends it. It’s a mistake. The accuracy is so low that the pH/KH charts are useless, in fact, they are an obstacle. In my personal experience, these charts are useful only to help a beginner to understand that he has no enough CO2 only when the lack is humongous. In fact, the main problem with these sorts of charts is that you may think that you have enough CO2 when you don’t. The drop checkers have the same problem. Electronic devices aren’t magic; if we calibrate them improperly the CO2 will be low. Devices like the Milwaukee uses pH to stop CO2 injection. The easiest way to calibrate it is using the pH/KH chart but this is a mistake. I used laboratory quality (not standard aquarium brands) CO2 test and I compare it to the charts and shrimp behavior. According with the charts my aquarium had 90 ppm of CO2 but fish and shrimp were perfect. But CO2 test reads 25 ppm. I believe that the best option is to use shrimp as a bio-indicator. I propose shrimp because they are more sensitive than fish. At real 40 ppm of CO2 they start behaving weird: they do uncontrollable movements, they try to escape. So, the procedure I propose is to spend one morning watching what is going on with the aquarium and every 30 minutes to increase a little bit the CO2 until the shrimp get upset. Then we turn on the air pump or any devices to oxygenate the water and we calibrate the CO2 with the 30 minutes previous dose. This is the real limit of CO2 your plants can uptake without risking your fish. If you have an aquarium with shrimp, then I suggest that when you reach the limit, you calibrate the CO2 with the 90 minutes previous dose and you compensate this range with Flourish Excel. For example, you add 1 bubble per second, after 30 minutes you increase it to 2 bubbles per second and so on. When you add 4 bubbles per second and the shrimp begin to behave weird. Then you oxygenate the water and calibrate the CO2 to 3 bubbles per second. If you are using a Milwaukee, you calibrate the pH a little bit higher. However, there is a false positive. If you have discus and the have parasites in their gills they will be breathing at the surface even with low levels of CO2. The damage that the parasites produce in their gills is permanent but you can make sure that the damage get worst by proper CO2 regulation. – The distribution of the CO2 through out the tank is as important as its dissolution in water. – The crystal CO2 diffuser needs of a small power head to distribute the micro bubbles. – The CO2 should pass by the prop of the powerhead instead of the venturi. – The crystal CO2 diffuser usually works better in small aquariums. Changing 50% of the water weekly helps a lot to prevent algae. The MCI is a fertilizing and algae control method. It was developed as an algae control method, so its potential about fertilizing was obvious. Other fertilizing methods just pretend that algae doesn’t exist and they don’t take any responsibility about them. I believe that algae and fertilizing are two faces of the same coin. 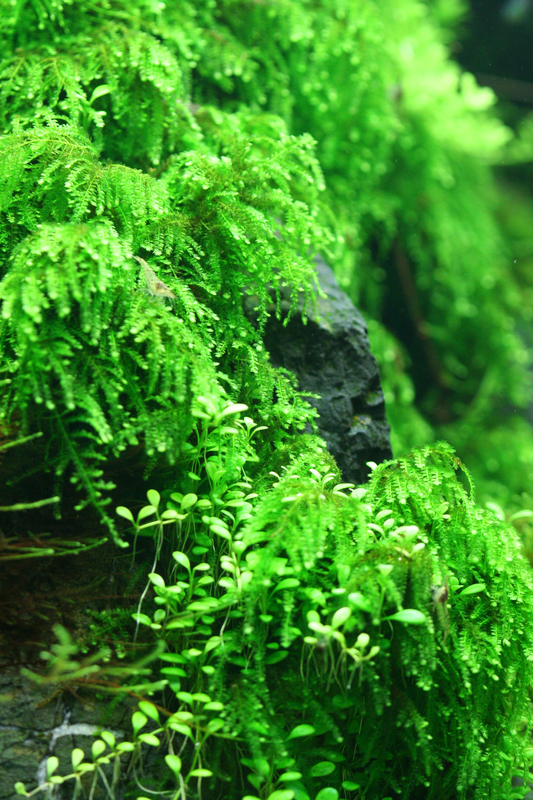 Algae gives us feedback about how are we doing with the water management in our aquariums. If there is something wrong they bloom. No matter which fertilizing method you are using, as soon as you have some experience you develop your own method even if you don’t realize it. But sometimes there are recurrent issues you can’t solve; this is a feedback you should listen to. Sometimes you are the problem; sometimes the problem is that you are using a bad theory. What I mean by bad theory is an idea that doesn’t work and because of that it should be abandoned instead of inventing pseudo scientific explanation when this is still not working. GDA is the best example. Even thou there is a very nice explanation about the cycle of living for this algae, the solution proposed (waiting) is…how to say it…a confession that the author has no idea about how to deal with it. But this is not the proper chapter to explain this so let’s deal with the fertilizing. I don’t mean that the complete method should be abandoned; only those ideas that are wrong. You can use any method if you tune it, replacing the bad concepts that ruin it. About micros and Fe, if you add 3 times more than what your plants are uptaking you will have issues with red algae (BBA) is we assume that your tank fulfills the prerequisites I described earlier. About calcium chloride, even small dose may burn microsorum leaves. For this reason I don’t recommend to use it. The base of the MCI is the fertilizing with KNO3, not only KNO3, this is just a beginning. To begin the KNO3 Protocol I recommend for beginners 1 gram every 50 gallons per week. The idea is to look for the real uptake of your tank; we are going to use the generic KNO3 protocol for this. It consists of adding this dose every day until you reach Green Spot Algae (GSA). Then, the total amount of KNO3 you added is the weekly amount of KNO3 you are going to use in the future in order to have a water chemistry close to GSA. About phosphate, as a beginning, I recommend not to use it right now. However, the dose I will use for the PO4 Protocol is 1 gram every 500 gallons. About dosing, the electronic scales are so cheap in the States that I don’t find any excuse to avoid buying one. When we talk about weekly dose, you should add it every day. If you can’t, at least divide it in three and dose 3 times per week. This is OK. If I don’t specify it, I always mean weekly dose. Use the Fertilator for adding iron and PO4!!!! If you have HQI, then the KNO3 weekly uptake is 4 times higher. The starting dosing should be 4 gram every 50 gallons if you have enough plants. The generic protocol of KNO3 will be the main tool for algae control. We are going to use it for finding out the real uptake of NO3 in your aquarium. 1. First day 50% water change. 3. Add daily 1 gram of KNO3 every 50 gallons until GSA appears. 4. As soon as you reach it or on the seventh day do a 50% water change. 5. If GSA didn’t bloom the first week then after the water change, add double the amount (2 grams per 50 gallons) of KNO3 during this week. You add KNO3 every day; let’s suppose you reach GSA the 3rd day in a 50 gallon tank. Then the weekly dose of KNO3 will be 3 grams divided in seven days. If your aquarium is really healthy, the remaining amount of KNO3 in the water should be low. If the NO3 raises, this means that you are having problems related to CO2, KH, lack of light, overpopulation, bad tap water quality, lack of plants, etc. In these cases you should check the prerequisites out. About PO4, you should be asking why I ‘restrict’ PO4. Well, a healthy aquarium has a normal tendency to lack NO3 and for excess of PO4. For this reason I suggest to listen to your aquarium and to add PO4 only if you need it. Green Spot Algae and pigmy leaf and symptoms of a real lack of PO4. On the other hand, we know that microsorums, anubias and marsilea crenata consumes a lot of PO4; in these cases we know we may need to add it. I would like to clarify this subject. If we add more PO4 it doesn’t mean that plants will uptake more. If we are adding too much we are confessing that we have no idea how much we need. I look for efficiency. I know you all probably think I am limiting resources but I believe that this concept from Hydroponic cannot be used without any tune up in submersed crops. The reason is simple, we are not only dealing with plant grow rate we have to deal with algae, too. So the idea behind the MCI is not to limit anything, instead I am looking for efficiency, which is the target. I made a living out of cultivating submersed aquarium plants and I had great growth rate with zero algae. Algae for me meant bankruptcy, plain and simple. In fact, I am limiting some resources but not PO4; I limit potassium (K). I don’t want NO3 to reach zero, if we add too much K we can achieve this anti goal. It is better to supply K from the KNO3 and KH2PO4 you add and not from KHSO4. The main idea is that there are plants with priority consumptions. With this concept I mean that only some plants uptake a lot of a specific macro and these plants will define the fertilizing. 1. There may not be evidence (GSA for example) of a lack of PO4. This happens when we have plants with priority consumption but not enough to significantly alter the water chemistry. In this case we can add a little bit of PO4 over the leaves with a syringe without needle. The dose may be insignificant in ppms but enough if we take care about the uptaking of that plant, then it can be more than enough. 3. Clean the glass of GSA daily. 4. Add daily 1 gram of PO4 every 500 gallons until GSA stops appearing/blooming. 5. As soon as you reach this point or on the seventh day do a 50% water change. 6. If GSA didn’t stop blooming the first week, after the water change add double the amount of PO4 during the second week and so on. Once we reach the point where GSA stops blooming, then we use this weekly amount of PO4 as the weekly fertilizing of PO4. If it took three weeks to find out this point, you only use the last week’s amount; you don’t add the 3 week’s amount. 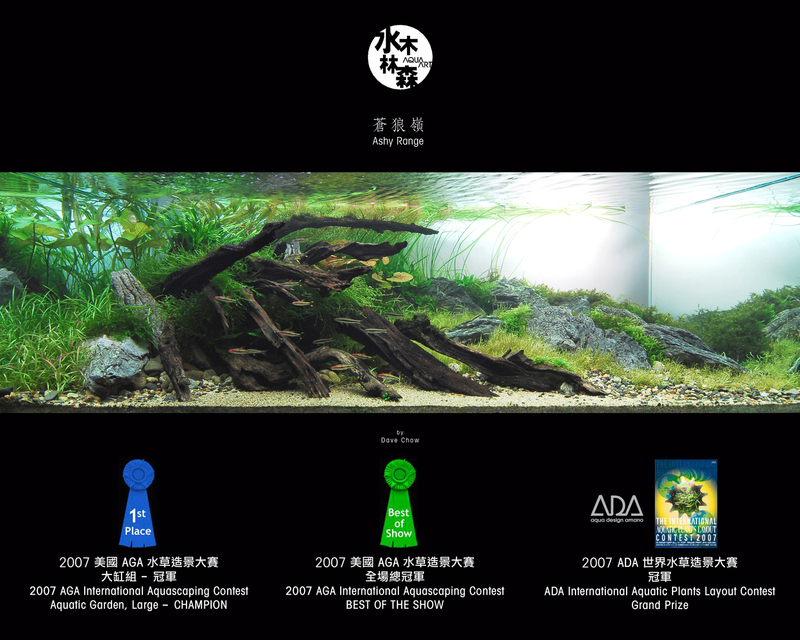 The 4:1 ratio Ca:Mg cannot be successfully used in the planted aquarium. When there is too much PO4 in the water and you have an imbalance in the Ca:Mg ratio, you will have GDA. In my experience, if you add these macros, the ratio should be the opposite 1:4 Ca:Mg. The immediate consequence of this idea is that you can’t add too much Ca because Mg cannot be added in large amounts. We can find out how much Ca:Mg we need in the same way I propose to do it with NO3 and PO4. However, I suggest you better wait a little more if you are a beginner. 3. Add 0.3 ppm of Ca daily until the algae “.3. RODOPHYTAS SP. 3” blooms. 4. Then use the specific protocol for this alga you will find in the algae control chapter. With these simple steps you will know how much Mg you need. About Ca, just add 25% of the Mg. 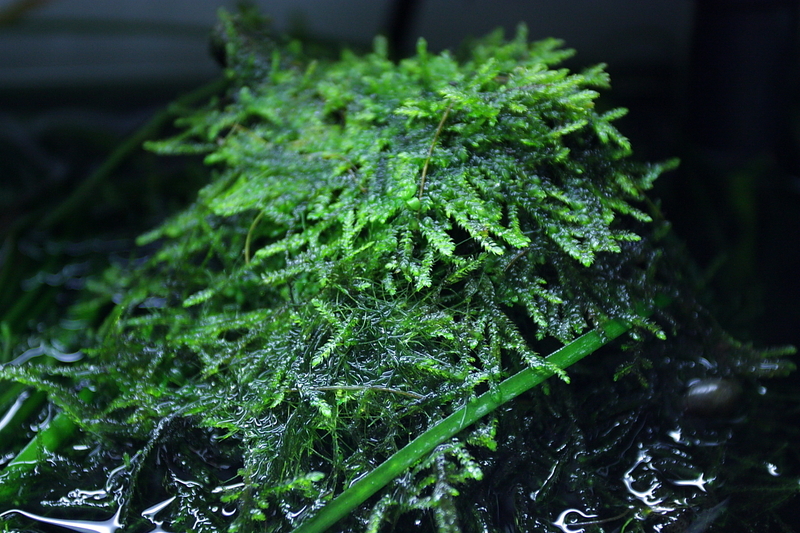 This is not necessary to reach this algae, rotalla wallichi can also be use as a bio-indicator because it melts when there is too much Mg.
Rotala Macranta is a Ca priority consumer plant, so it will alter the Ca consumption of the aquarium. We can assert the same about ammania gracilis, if these plants get blackish that is a symptom of lack of Ca. The Ca:Mg ratio I suggest is a generalization. Priority consumer plants always alter this kind of rules; but using the steps I mentioned and the algae as bio-indicators, as the blind man with his cane, you can find the balance of your aquarium. I don’t like to use calcium chloride because it can burn microsorum leaves. Usually with water changes you add enough Ca. Another option, if you have soft water with low KH is to use aragonite in your filter. It should be enough for standard requirements plants. You know when you have an imbalance related to Ca because you will have rodophyta algae sp.2 (look for the picture at the algae control chapter) or, if you also have at the same time an imbalance related to PO4, then you will have an issue with GDA. One of the special features of the MCI is that I don’t recommend the use of potassium sulfate (KHSO4). There are some reasons. The first one is that if you add this macro, the NO3 will be uptaken and as soon as you reach zero you will have algae issues. The main goal I think is to avoid this situation. The idea behind the MCI is to have a stable water chemistry where we know we are always close to GSA. If we add K this stability disappears. On the other hand, it is better to do not add sulfur when we can avoid it. Bacteria oxidation may produce sulfuric acid. Of course, if you add a lot of Fe you alter the redox ratio and this problem is neutralized but it is simpler just to limit the addition of sulfur. If you have hard water, you probably already have more that enough sulfur and adding more with the fertilizing may produce Grey Hair Algae (See algae control chapter). K is needed, no doubt, but in my experience, with the low K we add with KNO3 is more that enough. If my assumption is wrong, then microsrums pteropus should became black. 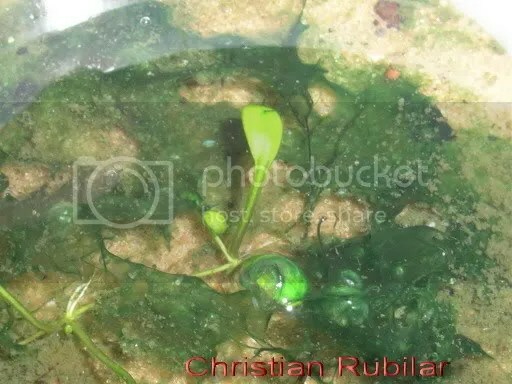 Hygrophila polisperma is a plant that consumes priority K. I have read that it is propose to be use as a bio-indicator of the lack of K. This is a mistake; the uptaking of K with this plant in your aquarium becomes bulky. You can put this plant just with water and potassium sulfate and it will grow well. 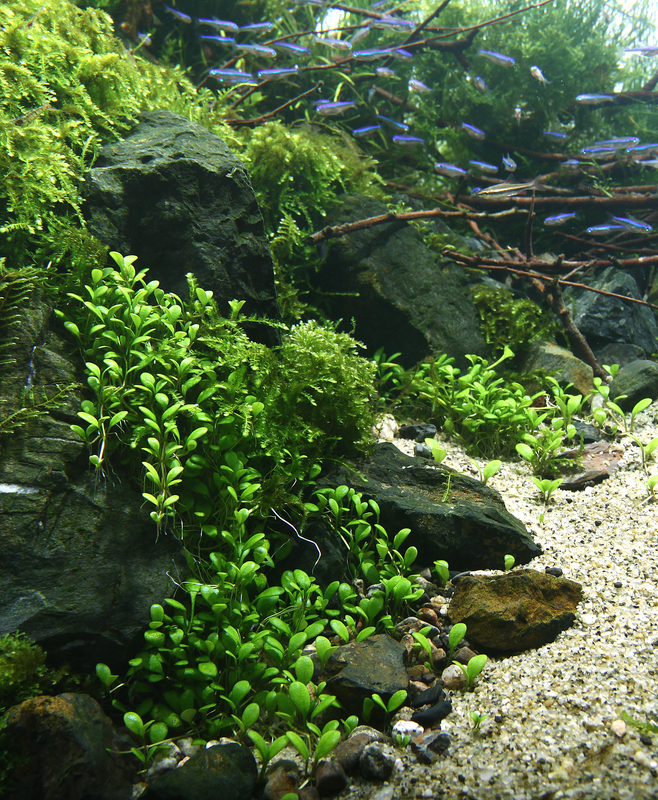 There is a difficult solution issue about adding carbonate to the water of a planted aquarium. It is almost an intuitive assumption to add potassium or calcium carbonate or bicarbonate. However, we should take attention to the total amount of K we are adding to the water. If we add potassium phosphate, potassium nitrate and carbonate or bicarbonate, we can easily be adding like 50 ppm of K. If we also add potassium sulfate, then the amount of K is too high. K by itself is not an issue like iron that can become poisonous in high doses but it can result in the NO3 reaching zero and that would be a problem. If we don’t want to add so much potassium sulfate, then the solution is to combine Calcium, sodium and potassium carbonates/bicarbonates in order to keep all of them in acceptable rates. As I already explain in the Ca/Mg chapter, we should be careful with the amount of Ca we add if we don’t want to have issues with red algae or GDA. On the other hand, Discus an Apistos are sensitive to Ca. The reason for adding carbonates to the water is related to avoid a breakdown of the buffer that allows the pH to fall to low. I was born in Buenos Aires City, in Argentina. We live in just besides the De La Plata River which begins in the Mato Groso swamps in Brazil. The tap water has a 1.5 KH and barely any Ca. I never had problems with this myth about the breakdown of the buffer. Even the pH can fall; this is not a never ending fall. Only fish from hard water and high pH have serious problems. Botia macracanta is one of them. I am not suggesting to have a 5.5 pH with our fish; I am just trying to explain that this is not such a big deal. We have this very soft water and hobbyists have successfully been using aragonite for decades to avoid this buffer breakdown. Aragonite, coral sand, is thicker than the standard calcium carbonate we can buy. The advantage of this is that the water won’t become white and as soon as its low water dissolving properties, the Co2, will dissolve it slowly when this is needed and no more. We only need a small amount of aragonite in our filter. The MCI works with only 0.1 ppm of Fe per week. The PPS and the EI uses higher levels of Fe. Fe reduces the redox potential and it could be useful if you have too much sulfur in your water or it is polluted. On the other hand, if you have both, Po4 and Fe high, they will become iron phosphate. There is a lot of debate about if plants can uptake it or not. It doesn’t make any difference. You can know how much Fe your plants uptake if you are adding like 0.025ppm a day until you get algae. I believe that this is not necessary, but you can do it if you feel like. The algae that will bloom for Iron can be stopped with the KNO3 generic protocol but you will need glutaraldehyde (Flourish Excel) to eliminate them. However, I believe that the best approach is to add PO4 and Fe on alternating days. In my experience, 0.1 ppm of Fe is enough. Anyway, your plants will tell you if you really need more. I know that it is a fact that you can have higher levels of Fe in your tanks with no algae, but I also know that this is less stable and there is no need for that. Plants will not start starving if you add Fe in a more efficient, conservative way. It is all about focus, don’t mix method. You can add less Fe only if you add less PO4. As I explained before, it is all about imbalances instead of lack or excess. In this chapter I will describe the protocols (steps) I have successfully used to imbalance the aquarium looking for GSA as a first step, and looking for a final balance later with no algae at all. It is not very clear why this algae blooms. In my personal experience, it always blooms when the KNO3 and PO4 levels where to high together. However, it seems that this is not the only situation where it can bloom. GWA also is common in new aquariums, we can speculate that nitrite may also be a nutrient that this algae uses. Water changes don’t solve anything, usually it is worse. To avoid GW it is best to start a new aquarium with a lot of fast growing plants, not necessarily the definitive you want to have. You can solve it using for time the dose of Tetra Baktozym. An UV filter is the best option. Make a 50% water change before you start using it and on the 7th day. Stop fertilizing. This alga is related to ammonia. Please read about it at the water quality chapter in order to identify why you have ammonia in your aquarium. 1. First day, 50% water change. Check that the water you are adding is ammonia free. 2. Don’t decrease the light. 3. Check the Co2 level, don’t assume it is ok.
4. 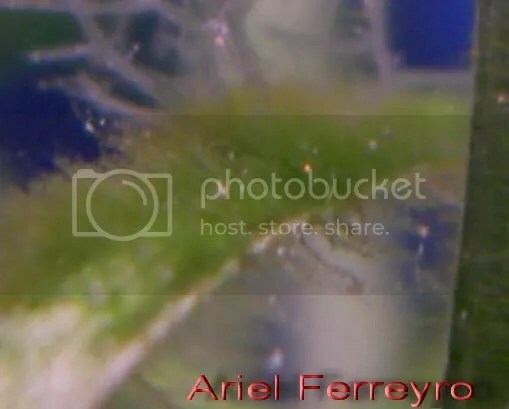 Apply just over the algae with syringe without needle 10 ml/25 gallon of hydrogen peroxide or glutaraldehyde /Flourish Excel is a good option. However, this product only solves the symptom. 6. 50% water change at the 7th day. 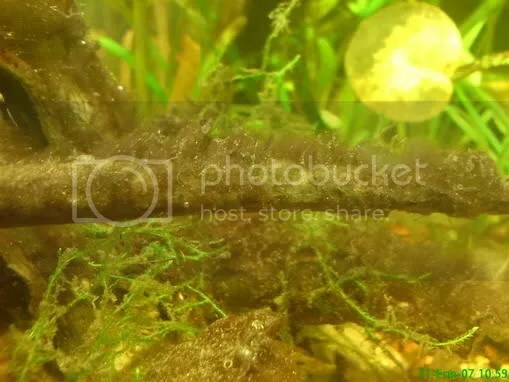 If you have enough shrimp they can easily clean this algae but they don’t solve the imbalance that caused it. 4 shrimp per gallon can clean a tank in two days. This is an easy solution if you already have them or if they are cheap. Where I live a bag with 200 of them cost like 2 dollars, they are used as live food. I had this algae between having sold my old canister and receiving the new one. The aquarium has a lot of echinodorus and just a few fast growing plants. As soon as the new filter had been working for a week and I add more plants, this algae disappeared. GSA is related to an imbalance between PO4 and NO3. Essentially there is no PO4. 4. Add daily 1 gram of PO4 every 500 gallons until GSA stops appears. 6. If GSA didn’t stop blooming/appearing the first week, after the water change add double the amount of KNO3 during the second week and so on. 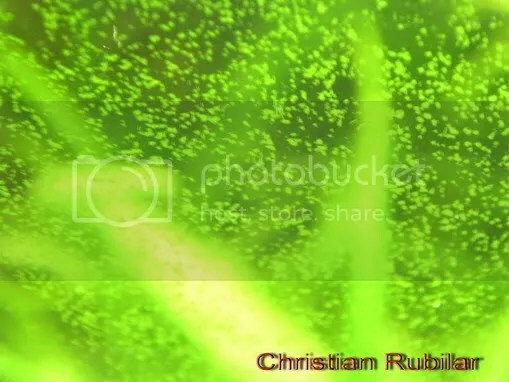 This algae is related to an imbalance between light and CO2. You should check that the CO2 is enough. Read the CO2 chapter to find out how to reach the maximum you can add without risking your fauna. If there is no way to add more CO2, then you should decrease the light. This is unusual and only happens when you use natural light in summer time. You can use Flourish Excel to kill this algae, 4 times the recommended dose. If you have a shrimp tank and you don’t want to risk them by adding more CO2, you should compensate it by using Flourish Excel nd CO2. Riccia, egeria densa and hemianthus micrantemoides suffer a lot with an Excel overdose. Cyanobacteria (BGA) is related to an imbalance between NO3 and PO4. Always means that there is too much PO4, it can also happen because there isn’t enough NO3. If you have discus the issue probably is too much PO4. If the aquarium has a meadow or glossostigma elatinoides then the problem probably is the lack of NO3. Cyanobacteria can be eradicated in the same way as bacteria. You can add just over the algae with a syringe without needle 10 ml/25 gallon of hydrogen peroxide once a day. Erythromycin can be use only when you have too much cyanobacteria. Be careful with BGA as it is a hepato-toxin (liver) and can make you ill.
Small amounts of cyanobacteria are probably caused because of a lack of NO3. This usually happens when you have glossostigma elatinoides or a lot of fast growing plants. 1. Use the KNO3 generic protocol. 2. Vacuum up the cyanobacteria or use the hydrogen peroxide. 1. Use the KNO3 generic protocol but adding double the amount of Kno3. 2. Black out the tank for 3 days. 3. After the 3 days, start again with the KNO3 generic protocol using the standard amount of KNO3 until you reach GSA. 3. Add 500 mg of erythromycin every 25 gallons once a day. 4. After the 3 days, start again with the KNO3 generic protocol using the standard amount of KNO3 until you reach GSA. There is a lot of confusion about this algae. The EI method suggests that you should wait out the lifecycle of this algae until it dies (about 3 weeks). 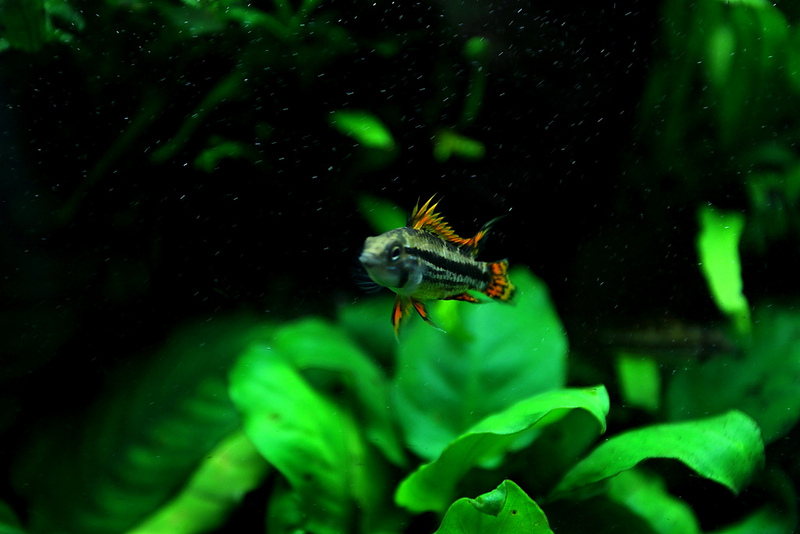 However, a friend of mine waited for 6 months, the picture is from his tank. I tested the water and I discovered a complex imbalance related to (1) Ca: Mg, too much Ca and (2) NO3:PO4, too much PO4. Three days later after we worked out and corrected these imbalances the problem was solved. 2. Clean the glasses every day until GDA doesn’t appears anymore. 3. In future, you should use a Ca:Mg ratio of 1:4. 4. If you add PO4, read the fertilizing chapter about PO4. 5. Read the water quality chapter about excess of PO4 and Ca in tap water. 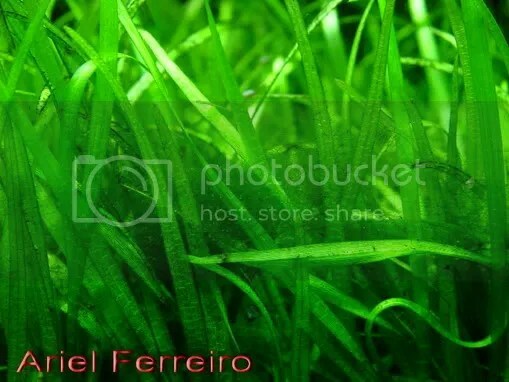 This algae is related to an excess of Fe. 2. Add just over the algae with syringe without needle 10 ml/25 gallon of hydrogen peroxide once a day. Excel can be used too, 4 times the recommended dose. 3. In future, you should add 1/3 of the Fe you were using. This algae is related to a complex imbalance where there is too much Ca in relation to Mg and there is an excess of Fe too. 4. In future, change the Ca:Mg ratio. Please read the fertilizing chapter about Ca:Mg.
2. In future, reduce the amount of Mg you are adding. I don’t know exactly why this algae blooms. I had it when I cut too many plants or when I put too much aragonite in the filter. – The Kno3 generic protocol stops the bloom. – WC helps a lot. 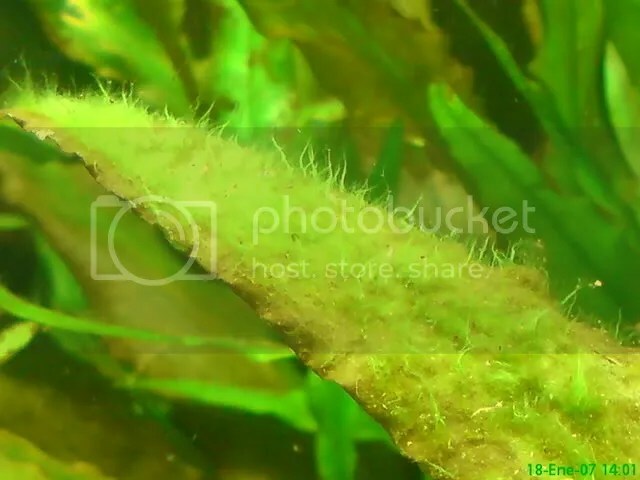 – This is H3O proof algae. – Shrimp are useful only if you have too many of them. – You need Excell to eliminate it. This algae is related to an imbalance between NO3:PO4 where there is an excess of PO4 and lack of CO2. 2. Check KH, eventually, reduce KH using RO water. 3. Check CO2. Read the chapter about CO2. 4. Stop adding PO4; read about PO4 at the fertilizing chapter. An imbalance related to Ca and lack of Co2 is related to this algae. 2. Reduce Fe in future, 1/3 of what was being used should be enough. I suggest 0.1 ppm. 3. Use Flourish Excel to kill this algae by spot treating affected areas. 4. Check Co2, uso the shrimp protocol. 1. Increase your light!!!!!! Don’t waste you time about silicates. 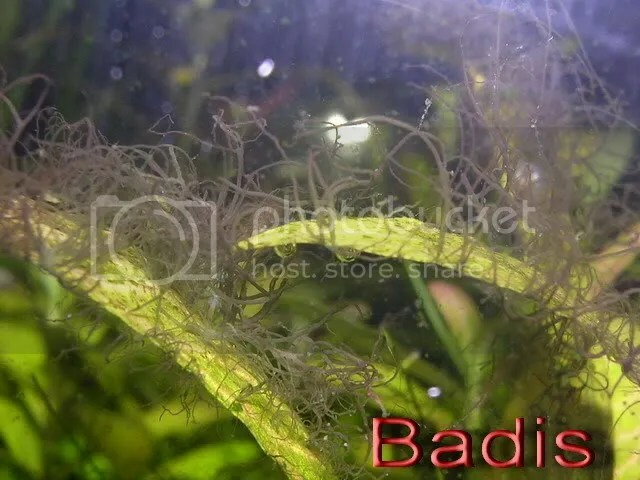 This algae will sometimes show in newly setup aquariums. This algae is related to an excess of sulfur. It usually happens when your tap water already contains too much sulfur and you use potassium or magnesium sulfate. 2. Try to get a water analysis from the Water company. You should chose the worst and start working about it. Cyanobacteria (BGA) are the worst always because it kills plants. If you reach GSA this water chemistry will help you to start finding a long term balance. Mr. Chow, first of all, I would like to thank you for lending us part of your time. How and when did you get into the hobby of setting up and keeping aquaria? It’s ten years ago, I used to raise fish but the fishes were dead in a few days so I went to the shop to seek suggestions. When I passed by a shop with some water plant creations I was attracted by the shiny green swinging water plants. I was thinking it will be great if I can have one and about 2 months later a 5 feet long aquarium of water plants appeared in my home. It’s quite difficult to answer; i think about 20~30 tanks(including my client’s tank and my shop’s display tanks)need to maintain. 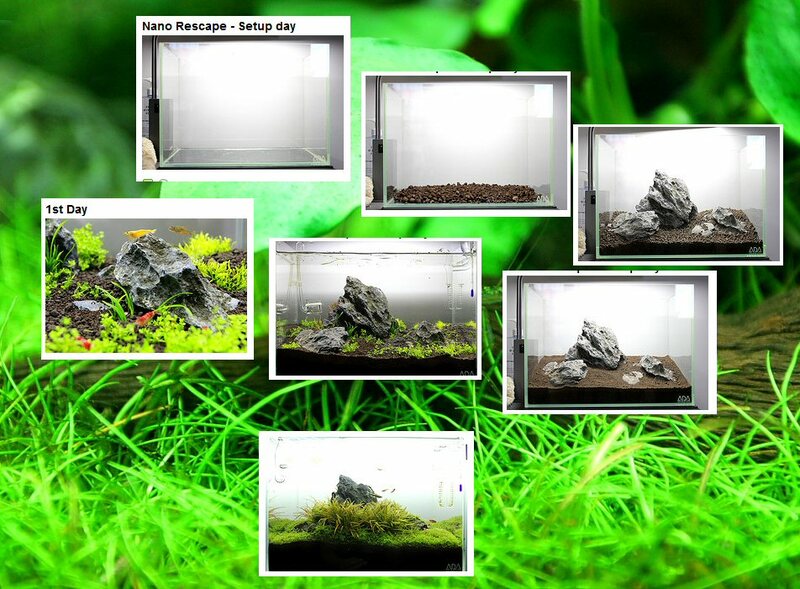 Usually each tank need to change water and triming weekly. Which is the aquarium you feel more proud? Many people (including me) regard you the best aquarist of the world. You did a lot of interviews, worldwide TV appearances..
Are you a famous person in your city? Did people recognize you in the street? 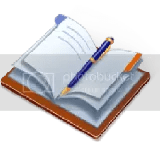 Magazine, tourist book, TV (NatGeo, Discovery), Internet Forum, Aqua Journal, Hiking …..etc. This is good question, I am a advertising designer before so I do each scape will base on my graphic treatment knowledge which can express the nature in the graphic point of view. I only use ADA Amazonia I and II for my planted aquarium, ADA powersand special will depend the tank design requirement. Yes, sure! Filtration System is act as a Digestion System in human body; the system need to be strong, healthy and recoverable. Strong Concept and Idea, Clear procedure in mind and strong decision making. I usually not consider the plants and fishes first when I create a new tanks, therefore I have no favourite choice of plants and fishes. Can you please briefly explain how you set up an aquarium from zero? Do you use all the lighting from the start? 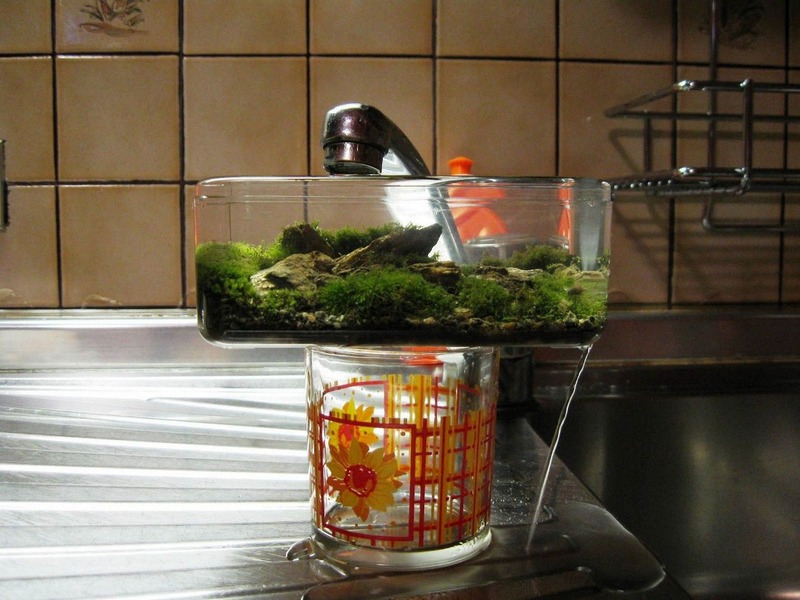 Do you periodically renew the water as the aquarium matures? Should the emergence of algae in the tank be judged as normal, or should it be avoided? First of all, to decide what size of your tank, cabinet or stand and then make decision of Lighting System and the Filtration System. Actually, i will change 1/3 water every week even the aquarium mature. 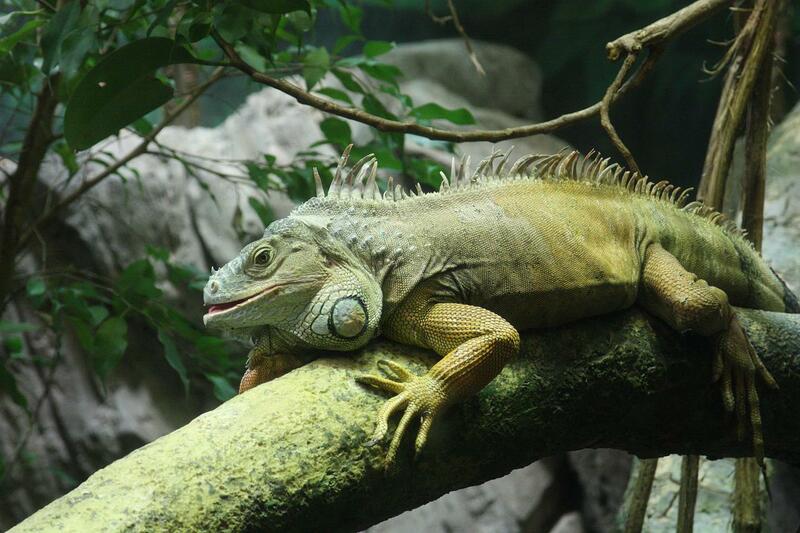 I think if the aquarium stay balance, then the algae outbreak should be avoid. My choice of fertilizer is ADA Lights, ADA Shades, ADA Bright K, ECA and TMG. Photographs of your aquariums are magnificent. Would you please tell us what techniques, material (flashes, lenses, etc.) you resort to? This is not my business when you talking about this matter, the photo is taking by my friend Gary. (another CAU member) I only can tell is : he use Nikon DSLR camera, using external flash lighting and also use wide angle lens when shooting. 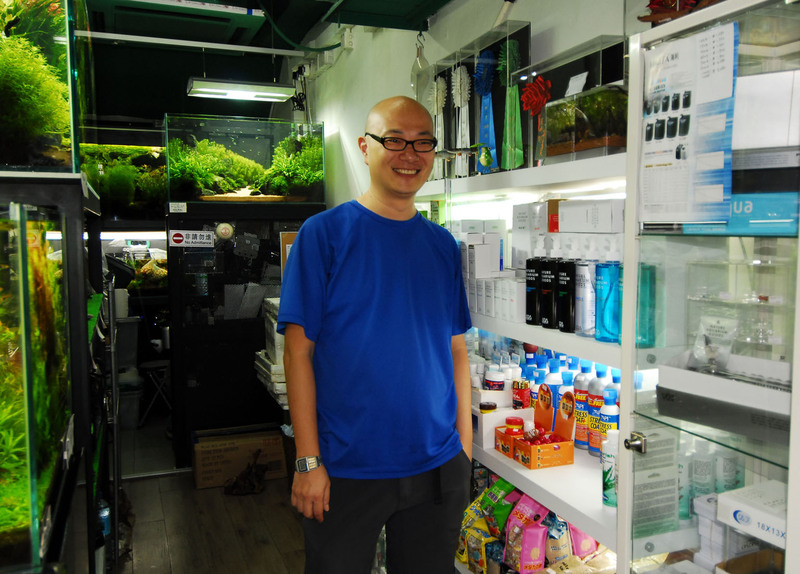 How is aquascaping in Hong Kong? 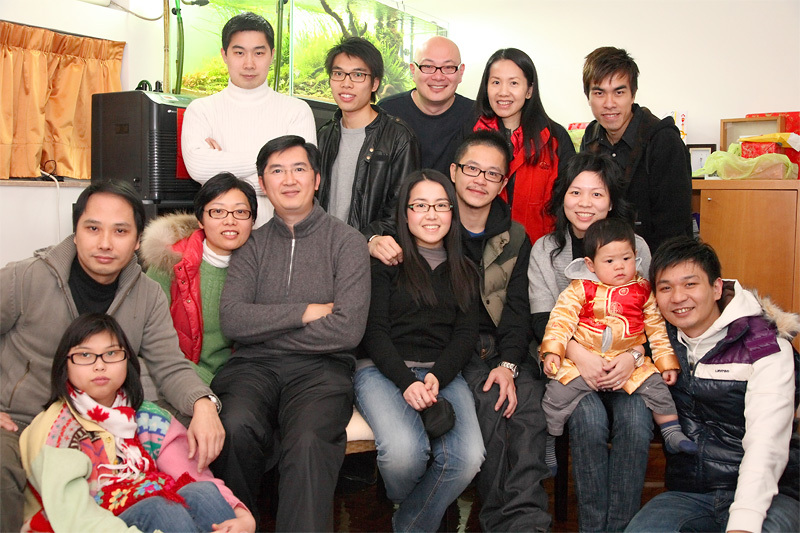 So far so good, because Hong Kong is the centre of Asia, gate of China, we can learn and gain from many Countries. The head room of the aquascaping creativity is still large. It’s so sorry to say that i know not much about aquascaping in Spain, but i know there are many potential aquascapers in Spain. Yes, sure! First of all is Takashi Amano, Masashi Ono, Gary Wu, Tony Wong and Wayne Sham etc. 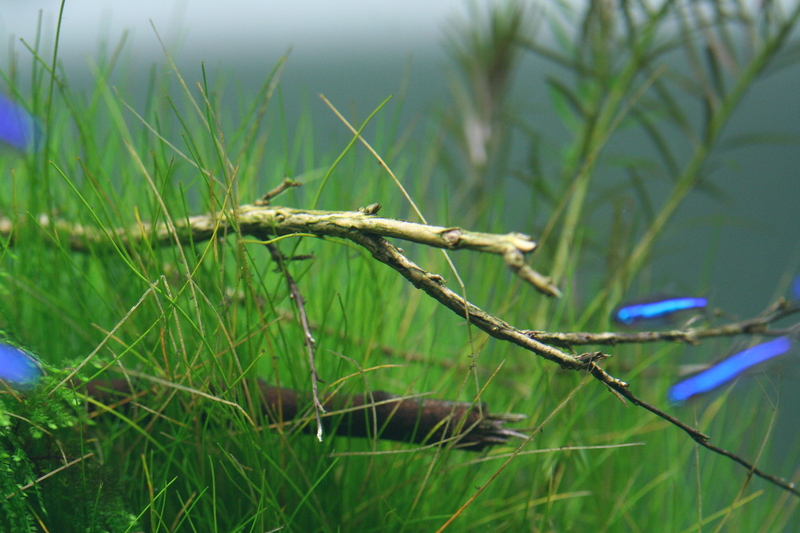 No style is a style, or may be you can say that is NA (nature aquarium) style. For example: Outdoor hiking, reading and painting. Prestigious Aquarium Products, NA Style Design. Competitor of Water Plant, Source of Trouble. It’s a great honor to me to be able to answer your questions. Thank you for the opportunity. Would you please tell us a little bit about you, where do you live, how is your daily life, what do you do for a job… anything you consider relevant for aquarium hobbyists. I live in Budapest, Hungary. 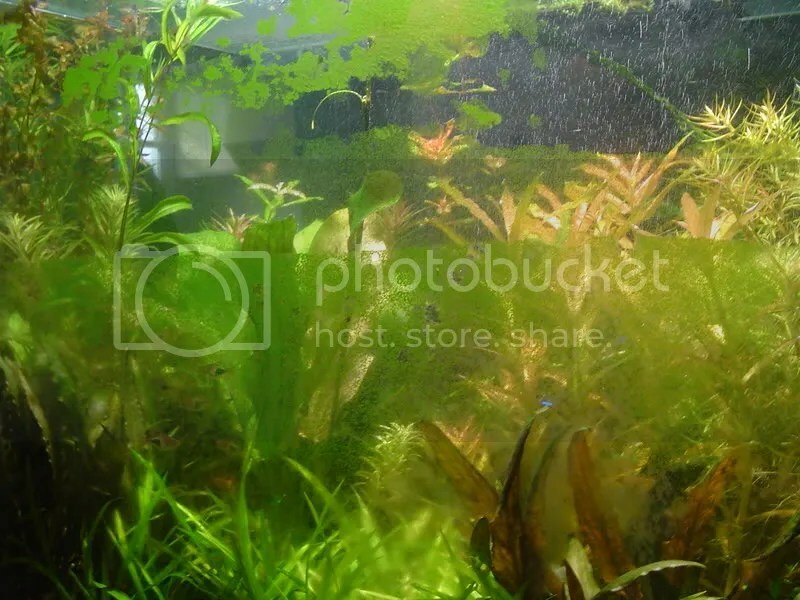 In the private life I am an entrepreneur, running a software/design firm and also a founder of the first planted aquarium shop in my country called Green Aqua www.greenaqua.hu . My job related to design in the past 15 years, and the artistic side of it helps me to get closer to the art side of aquascaping. Imagination, balance, layout, composition goes easier with the past knowledge, but of course still a lot to learn to create nicer aquariums. I do keep aquariums in the past 13 years. 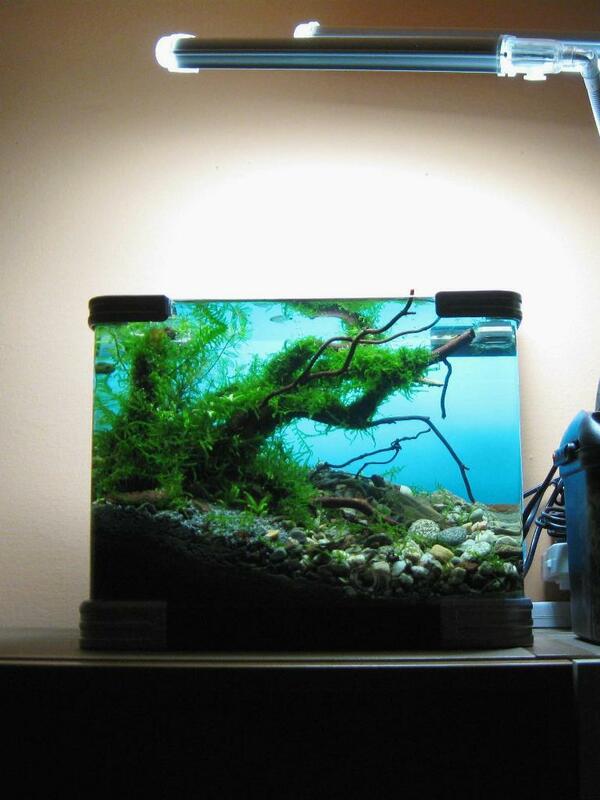 However I had a moment 3 years ago, when I’ve seen some nature aquariums, aquascaping works. I knew that I want to do that. I always loved creative tasks and plants, and I fallen love to this beautiful hobby easily because of that. 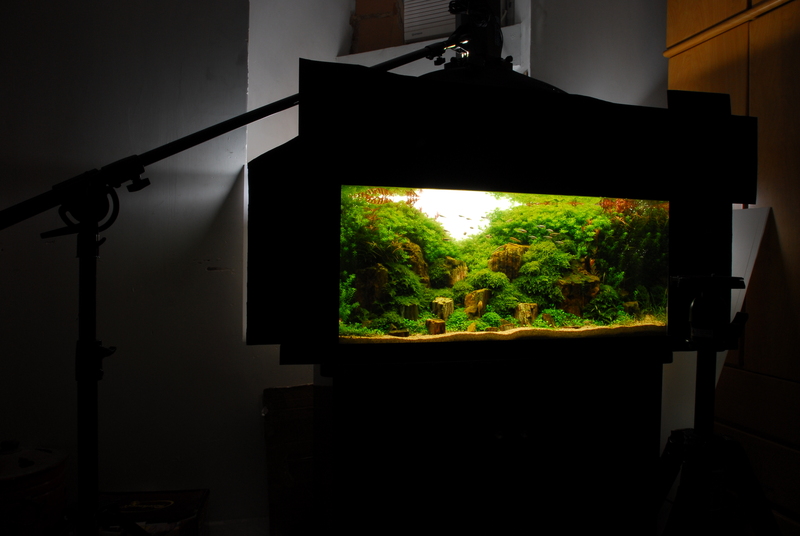 Just like many other folks I got caught mainly by Takashi Amano’s nature aquariums. However since that time I’ve seen many professional aquascapers around the world. Their works inspire all of us. 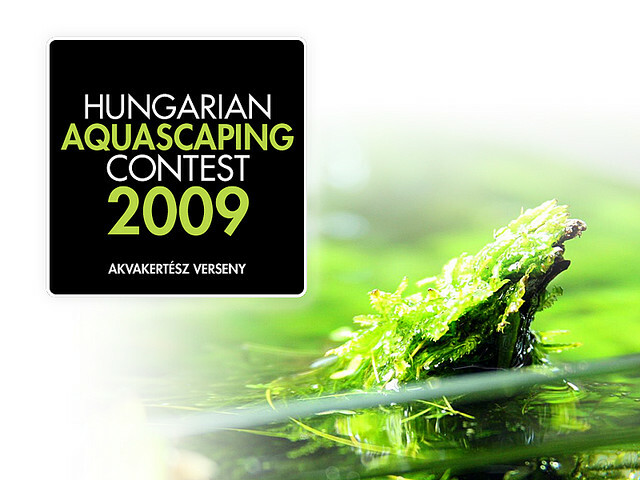 Can you tell me something about the forum Hungarian Aquascaping Community? We started this board 2 years ago. Before that we only wrote articles on blogs and realized that we just overgrown the capability of the blogging tools. A forum is a great place to organize better each topic and be a daily meeting point of all the hobbist around the country and post without limitation share progress etc. Since only small information was available in our language, we started to translate and get connected to many blogs and international forums communities. 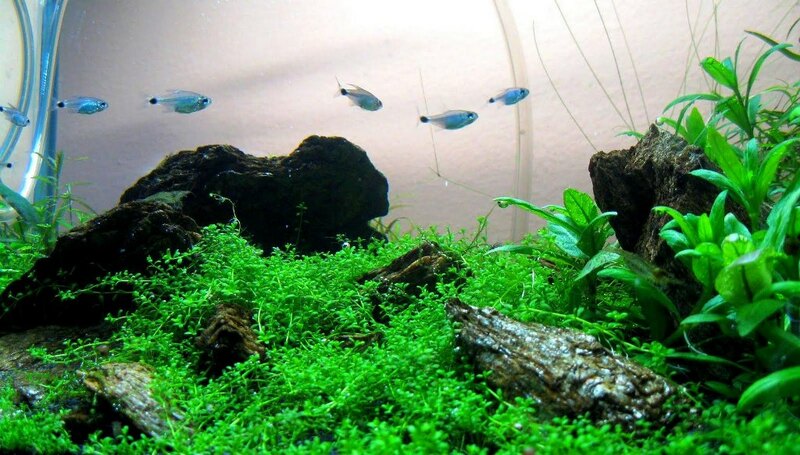 Fish keeping is a common hobby in my country, and this is a great challenge to promote planted aquariums to a broader audience showing the art form of aquascaping. We have 800 members and posted over 30000 posts on the forum in the past 2 years. It’s not a bad thing especially this is only in Hungarian, so we closed out the international folks with the language restriction. The goal is to keep up with the leader European countries in aquascaping like Poland, UK or Spain. Well as we dig more into the hobby we faced with the issue, that nothing is available on the market here what we need. In the first year we ordered everything from Germany or UK to our personal tanks. Paid lot on shipping, but there was not any other way to do this. Since shops are not realized the demand, we decided to do this on our own. 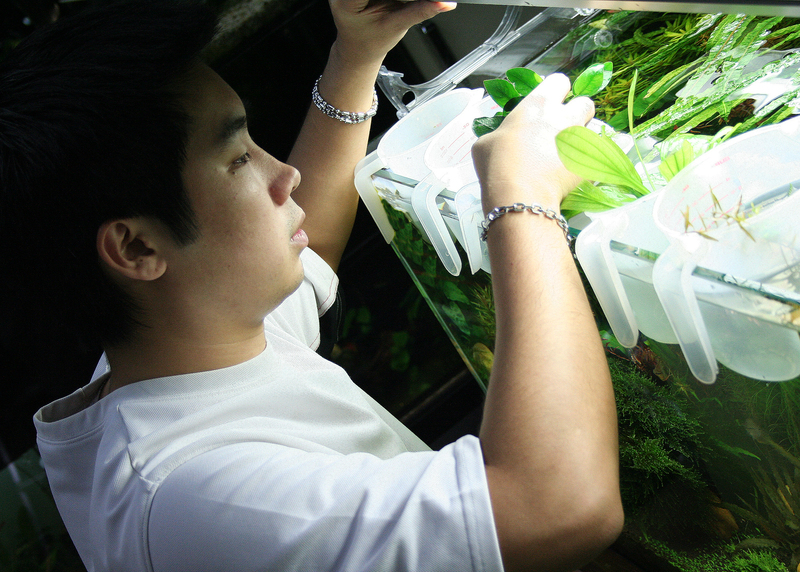 This was the time when we set up Green Aqua, focusing only to planted aquariums. We started to import all the stuff what we needed, and geared up with many good products and brands shortly. We become ADA Hungary, which was a great moment for us. For today we’re the market leaders in planted aquarium stuff in my country. Good question. I think I am mainly inspired by some extremely talented aquascapers in the World. Unfortunately nowadays I have less time to be in the nature, which would be a great inspiration source, but things work this way too. There are so many brilliant aquariums out there for today. Do you observe any norm or standard proportion when creating your hardscapes? 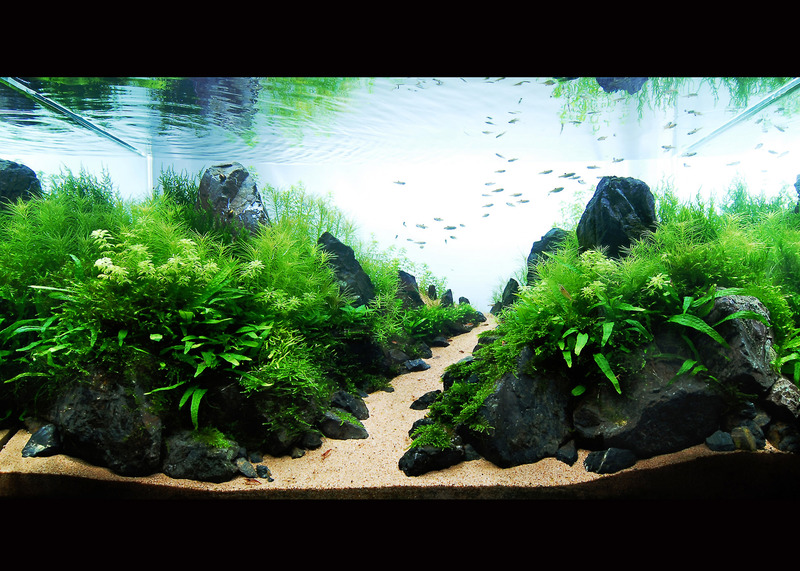 ADA Aqua Soil Amazonia on all of my tanks, with ADA Powersand Spec or Tropica fert. layer. Do you consider filtration to be an important part? Absolutely. We try to meet with the 8-10 or above turnover on our high light tanks. Good filtration is a must for a balance. Well there are many ways to do that. But I do not like limitations on plant selection. So I shoot for high light, but then you can’t live without CO2, and good fertilizer program. If I can add anything on the top of that I would say natural decoration. If an aquarium looks unnatural, because of the decoration used in them, that’s makes the tank disappointing for the first sight. No matter you have healthy plants there. The overall image will lack of the natural feeling. What kind of fishes and plants are your favorite for your creations? 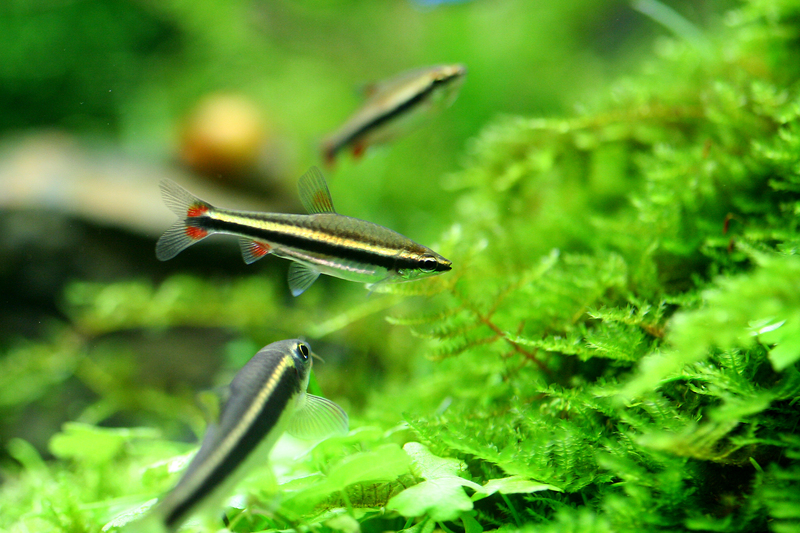 For fishes I prefer the smaller ones, like Micro Rasbora, Boraras Brigittae, but I only use them in my nano tanks. Can you please briefly explain how you set up an aquarium from zero? Depend on the scape, if I build large set of stones I build that outside of the aquarium. Otherwise for wood, and stone aquariums, just put them into the tank and fine their position there. After I figured out the soil setup, to use décor sand or not, the setup goes simply. For the process, I do follow the ADA way. Use ADA Powersand Special, ADA Aqua Soil Amazonia, sometime with more or less additives. Plant goes in the first day as much as I can. The more plants the better. Mainly the ADA ones, but used other commercial stuff in the past like Sera, Tetra, Tropica ferts too. We also using EI based mixed fertilizers on some of our tanks. Let me now please address a touchy topic, at least among Spanish aquarists. There are mixed opinions regarding ADA products. Some people think that ADA fertilisers are readily dispensable, that glass material gets too easily dirty and is excessively fragile, etc. What is your personal view regarding these products and this prestigious brand? Well without being too diplomatic or sounds like a marketing guy, I have a few thoughts on their products. ADA is a premium line product range. They offer many products what you can use to set up a planted aquarium and run that successfully. Just like any other business area, you have to pay for the quality, the brand and the design. This not means that you only can have successful aquarium with these products, but once you have the budget there’s an option for you to use it. On fertilizers, all kinds of packaged fertilizers are expensive for a guy, who uses dry powder ferts on a daily basis or who has very limited budget. But there are many people who do not like powder mixing. They always look after packaged ferts. I guess the fertilizer range is for them. On glasses I do like them mostly for aesthetic purposes. They look awesome on a nice aquarium which maintained regularly. But will not add anything if you’re lazy with your tank. For beginners I prefer to start with plastic/acrylic things first. Glasses are expensive toys to make the initial steps with it. I am not a glass breaker guy, but I also managed to break a diffuser and drop checker in the past. They are expensive, but a great visual addition to any tank I believe. They are optional not a must have add-ons. How is aquascaping in Hungary? We’re at the beginning of something, but the following years look promising. With more active members in our community more and more nicer tanks appear. But still there’s many work ahead to spread the word and introduce planted aquarium to different audiences. In Europe Poland is the one. They have a largest community, many great tanks and extremely talented guys. However I see Spain very strong nowadays. Otherwise of course Japan, and Far East countries. I see more and more brilliant tanks from Spain nowadays. Fine detail, natural and healthy aquariums. 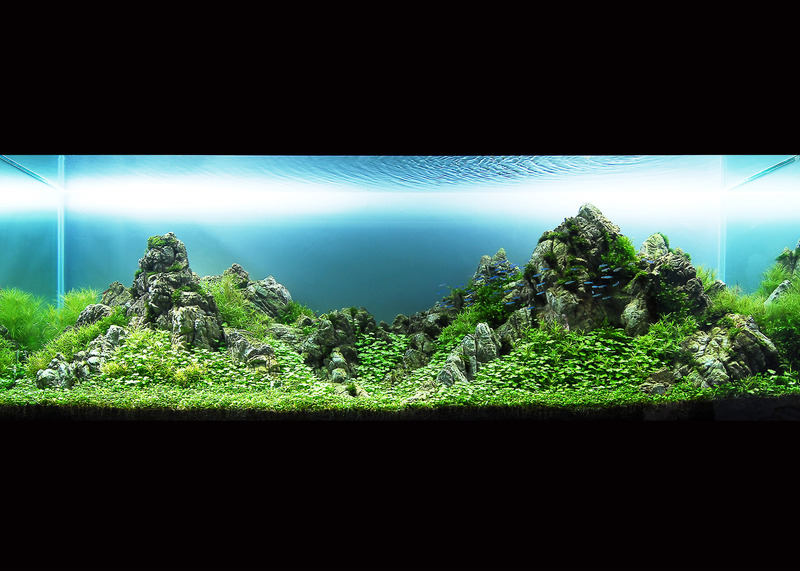 CAE become the European Creative Aquascape Union (CAU) in my opinion. I do not have preference. There are great stone and wood aquascapes too. You can find many beauties from both of them. Dutch maybe not that closes to my preference these days. If this is well executed this could look awesome. I like the ones where you do not have to tell the story where you can see similar landscape in the nature. The tank tells the story itself. Can you tell us a couple of aquascaper you like the most? Well, there are so many great ones, would be hard to pick some of them. Some has better PR than other. But all time favorite for me is the CAU team. The more entrants the better I guess. At least when I look at the current year contest book I see a very strong first few hundred tanks. Too bad many of them we never see only in the contest book, because no one publishes them on the internet. IAPLC helps a lot to boost the hobby worldwide. Still the best tanks appear here from all of the contests. The seventh-ranked used a technique called “mirror.” Do you think those “tricks” should not be allowed? This should not be allowed. It’s a visual trick not matter it’s only a mirror. I would not allow this kind of thing. Of course, as the contest gets bigger, will be harder to filter out these tricks. But I hope this will not be a common thing and the judges will try to avoid putting these tanks in the top works in the future. What is for you the aquarium should have won? I would close out the tricky tanks from the winning works for sure. The top 100 tanks need to be taken more seriously. The question here is what they can do if they miss it, and later it gets identified by the community. I never have seen result changes after the official result publication. But tricky tanks not deserve the best placements for sure. As a community moderator person I always see problems between people, philosophy, brands, technics they use. Some like this, some like that. Some believe in one thing others are not. DIY vs. off the shelf product owners. Til we’re arguing about this, we will never create such a great aquascapes like the best ones in Far East. This is all about creativity, nature and its beauty. That’s why we all fallen love with this hobby, but many of us lost the point. Let’s try to find this moment again in ourselves. Thank you for the opportunity on this interview. Mr. Hui, first of all, I would like to thank you for lending us part of your time. For a start, would you please tell us a little bit about you, where do you live, how is your daily life, what do you do for a job… anything you consider relevant for aquarium hobbyists. I live in Hong Kong. I was working on Film Production, a Scriptwriter and Editor. As long as it is a not regular routine job, few years ago, I started using my spare time to help aquarium store to design aquatic layouts. And now, I am using most of the time for doing that. However, I am so sure that one day, I will back to my field of dream. I started my first planted tank about 7 years ago. I love to create and build anything in art form, which are my life and my characteristic. Aquatic plants give me a strong impression on its beauty and the sense of living. The first day I known about aquatic plants, I was addicted to it, and I try my best to show its beauty by making aquascapes. Yours are well-know aquariums, and some of them can be seen here. Which one do you like best and why? Honestly, I love “Destiny” very much. Actually it was the layout which I spent a lot of time on it. Each part of creating it is still in my mind. When this idea first came up in my mind, I went a lot hiking to see what it should be happen and natural. I tried to collect and grown every plant which I thought it would be suitable. I went to ask every friend whom had or known where can I found suitable driftwoods, and I finally use 4 days and nights to think and cut one of the big strange driftwood into 15 pieces, re-organized them into that hardscape. I still cannot believe that two tree roots are originally from one piece of strange driftwood, which was not even like a tree or roots at first anyway. You belong to the prestigious CAU “club” (Creative Aquascape Union)… How did it come into existence? Could you explain briefly which are its main goals? Is it still possible that some other aquarists enter the club or is it already closed to further members? 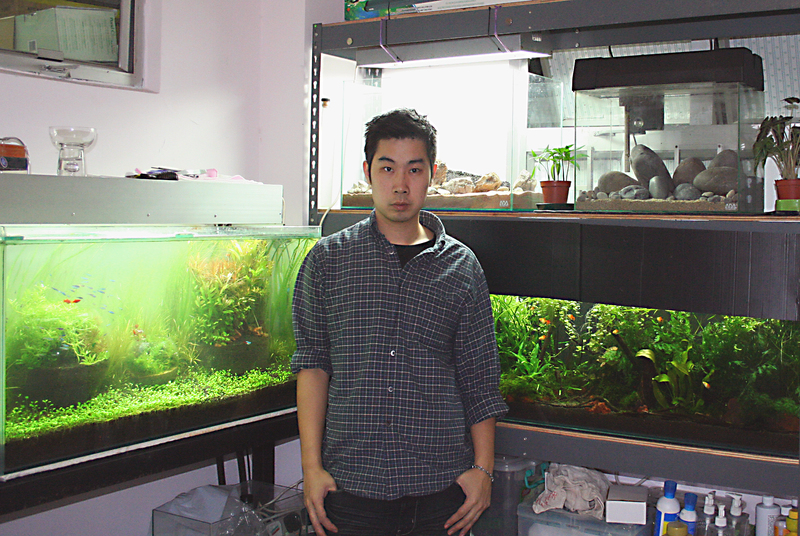 CAU is a club based on a bench of friends, whom have the same hobby, Aquascaping. The main goal on CAU is promoting the hobby to everyone in the world, and trying to tell them it is an art form. 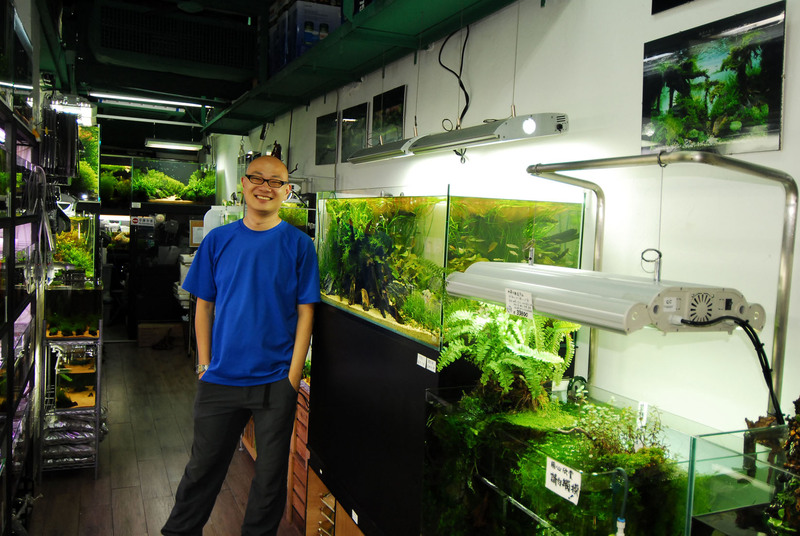 We added new aquarist this month, Tony Wong, which is also one of our best friends. 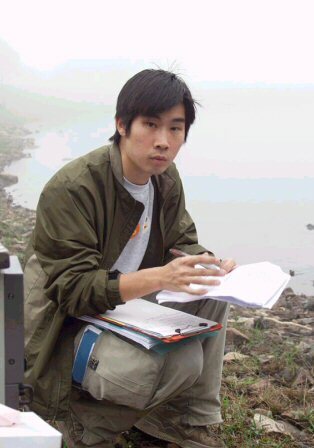 My view is that there is a “Western” aquarist culture (Europe and America) and an Eastern one (Asia), with hardly any communicative exchange between them and with a universally-acknowledged superiority on the part of Eastern hobbyists with regard to aquascape creation. This notwithstanding, have you any knowledge of the “Western” aquarist culture? Is there any European or American aquarist that you appreciate? Firstly, I do not feel it is a big difference. I can say they were different cultures in 5 years ago. 5 years ago, “Western” aquarists liked to do Gardening layouts or Biotopes, Asia aquarists liked Iwagumi and hardscapes. But now, I can see they are mixed. I saw many people from Europe and America doing NA [Nature Aquarium] style layouts. Moreover, much Asians pay attention on healthy planting. However, the most I can see are people around the world trying to mix every style together into one. 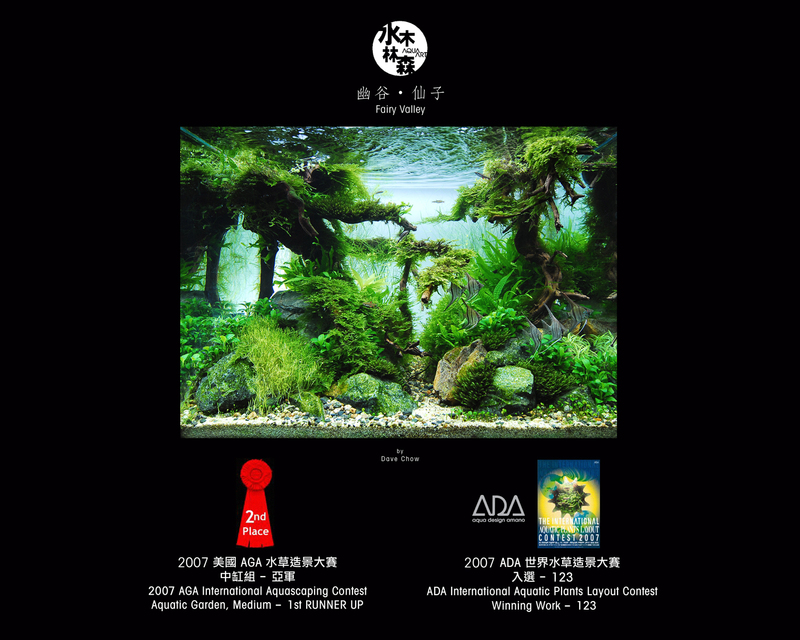 Try to take a look of the AGA contests showcase from 2001 to 2009, we will see the changes. I can say pictures of aquariums putting on internet are the best communicative exchange. We can read many things in the pictures. Even you do not know their language; you can see links and pictures all over internet. Recently you took part with your aquarium “Treasure” in two prestigious contests, IAPLC and CTA, being the winner of the latter. Mr. Filipe Oliveira has recently stated in this web-site: “I cannot understand the manner in which the first prize has been alloted. In my opinion there are much better layouts than that… I never understood the evaluating criteria of ADA judges.” My personal view is that your aquarium (and this is no lip service!) should have ended the first in the contest, or at least among the three best… In a similar manner, although the “Destiny” aquarium you introduced last year was most people’s favourite, it ended in the fourth position… Do you agree with these evaluations? 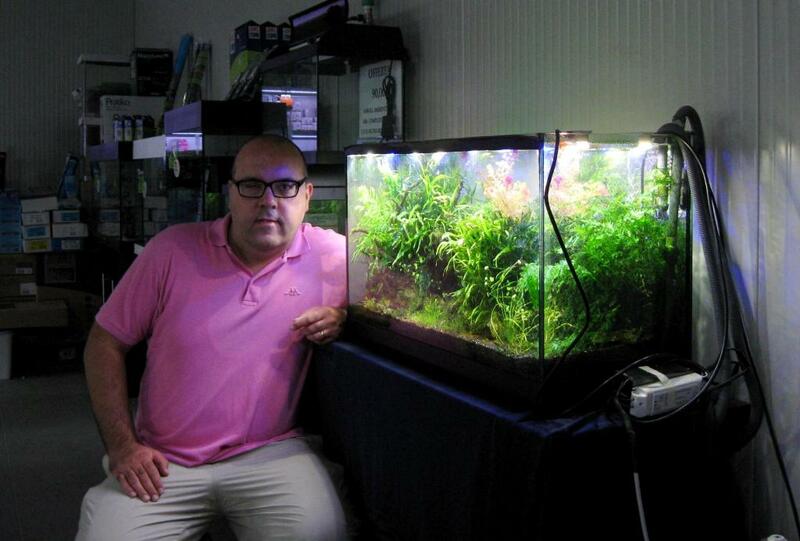 In Spain many aquarists consider you the best aquascape creator in the world… Don’t you feel that your work is not being fairly valued in contests? I have to thank for your kind words and thanks for aquarists from Spain. I am a very optimistic person, I love aquascaping, and I like most of the aquarists, and their works. It is always hard to compare “Art”, whatever it is Music, Painting, Movies, Dances or Aquascaping. Being in a contest is only a part of this hobby, we should spend more time on enjoying the rest on it. How do you obtain the material (stones and rocks) you use in your hardscapes? Inspiration is a very indefinite thing. It came in everywhere in our life. I don’t have a standard way on creating my works. Of course, basic techniques and skills are always important, but it should be well prepared before creating. I am trying to make things between new and standard. Norm or standard proportion is always in my mind which alarms me not to create things for creative purpose only. Aquatic layout is a very personal thing, which characteristic and creativity are very important, but, aquatic layout is also something presenting nature and peaceful, I am always trying to get the balance of them. I collect materials after I had an image in mind, they were from aquarium stores or friends, which is same as everyone. Yes, of course. Water condition is the most important thing for an aquarium. No. nothing is a must. What kind of fishes and plants are your favourite fo your creations? 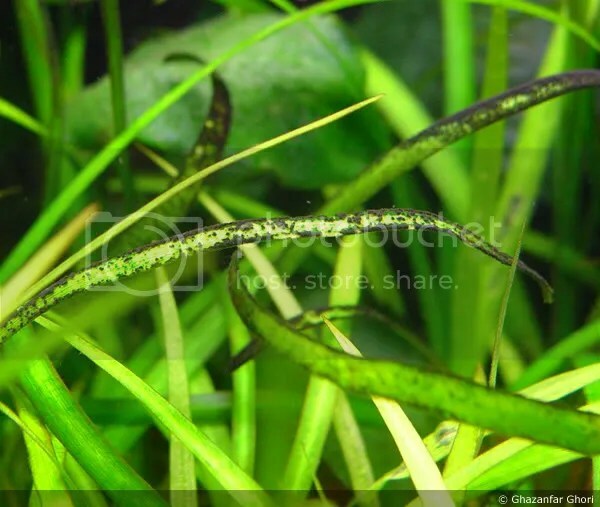 The cleaning fishes – I think they have the interaction between the plants and the layouts, which is so amazing when I saw them moving or lying on the plants. I love Glossostigma elatinoides . I used them in different ways on each of my layouts with different purpose. I start a layout same as every hobbyists. Done the basement, and then do the hardscapes, planted a little bit before the water condition is mature. Half of the lighting should be used before all the things become stable. Keep the water clean by renew the water, how much? It depends on how dirty the tank was, and observed the plants, the fishes, and the algae. Then planting and trimming, Adjust the layout before it is too late. That is what most of the hobbyist doing. I am doing no different at all. Usually TMG. ADA brightly K and ECA. I think ADA is a brand trying to presenting lifestyles. For my personal view, I can say people should use anything that suit them, and you have the right to choose. ADA fertilisers are not that heavy, they pay more attention on the whole layout and trying to “keep” the plants, but not to grow them in a 3 inches “big head”. ADA soil plus their fertilisers are already enough on growing the plants which NA style layouts usually used. For the glass products, I had used them myself and for my clients. I think it is not that difficult, but need patience and carefully use. Patience is always needed in this hobby, so I accept it. Especially when you need an open aquarium, glass products are always looks good. 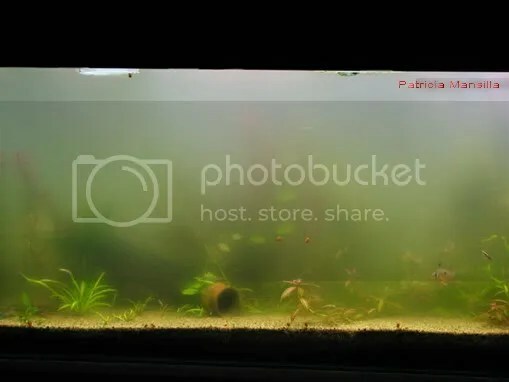 Photographs is just important for internets and contests, as I said, I love my real aquarium more. My friends who taking photography for my layouts, Gary Wu and Alan Chan, they are geniuses. But, is there any special technique??…. Only they know…..
All I know is Nikon or Canon is not important, they are using both. They were using wide angle lens sometimes, but after tests, which is not suitable for every layouts. Flashes were what they usually used, for the right WB, creating the mood and the dynamic feel. A woman has a fish tank with plants, keeping them in a different way from me. We have the same hobby but different interest. One of the biggest contest. My spy, it tells me the condition of the tank. You care when you start, you don’t care when are experienced, and you started to care again when you are lazy. A way to let more people to see your aquascaping. The amaze of open aquarium. Apart from aquariums, do you have any other hobby? I love movies and sports, especially soccer. That’s all, Mr. Hui. Thanks again and best regards.